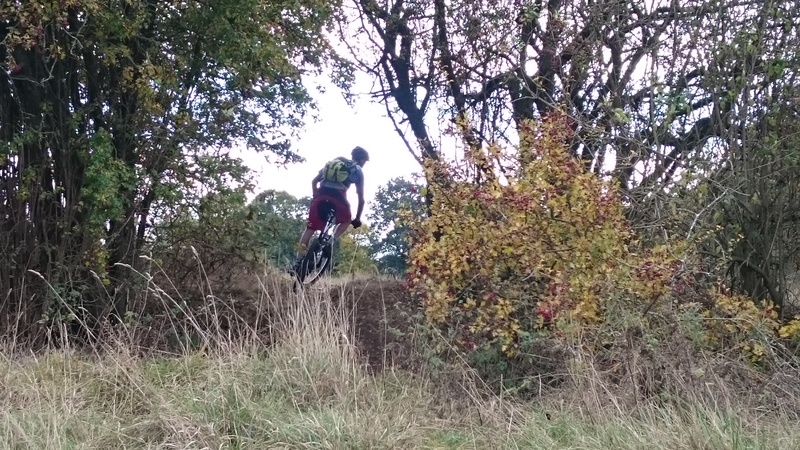 Was a real pleasure today guys, couldn’t have been a better day for it. 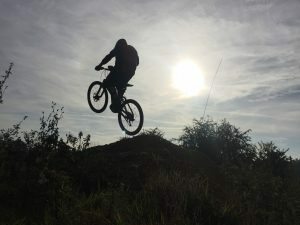 Have fun on the rest of your trip! 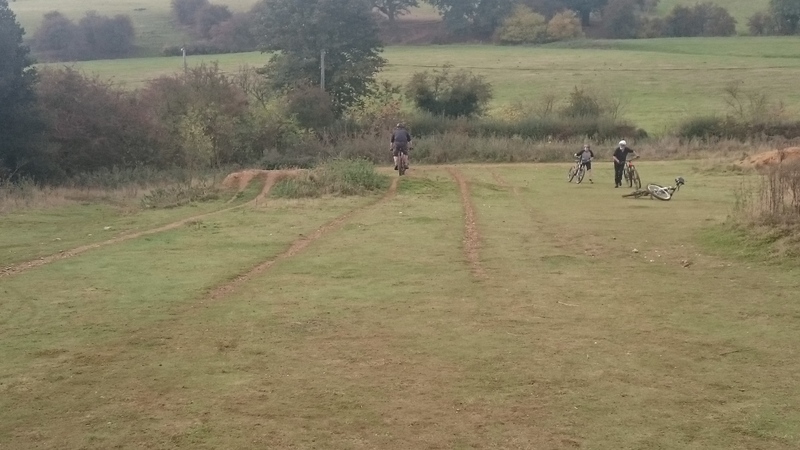 Nice work Tim and Ed! 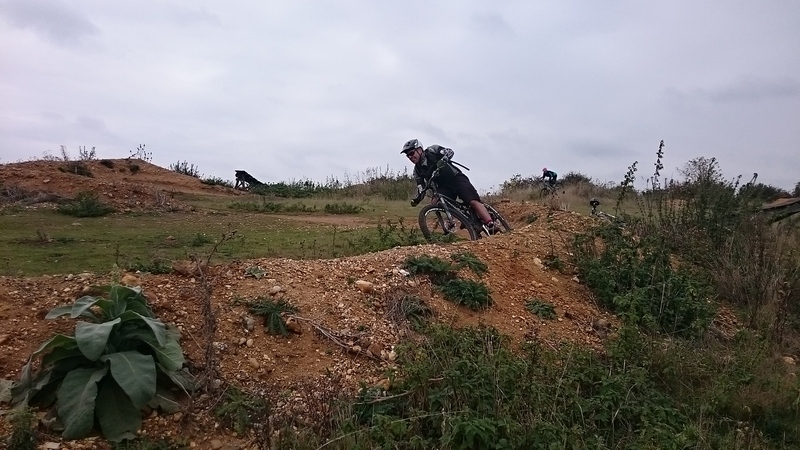 Think about your corners Ed, and Tim, keep your pelvis forwards! 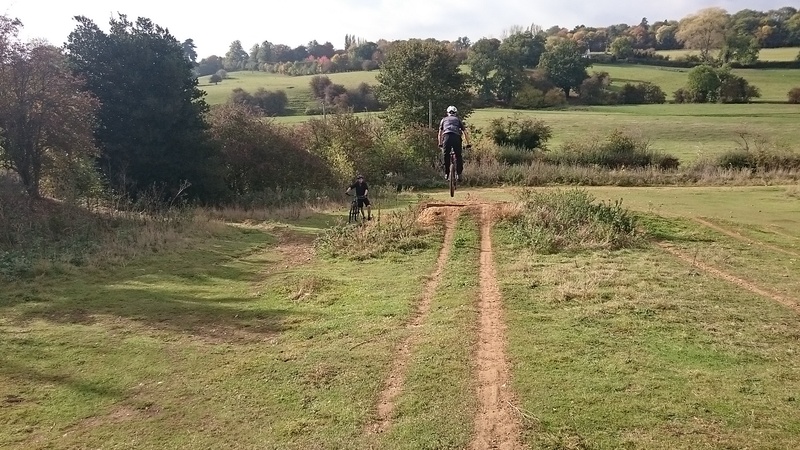 Darren and Rob wanted to learn from the ground upwards and maybe get wheels into the air but more important to them was feeling in control in their riding. 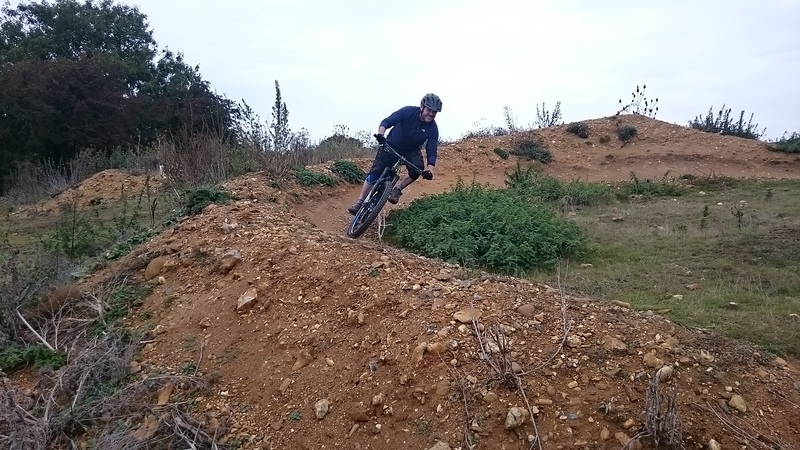 I worked on footwork, looking and body positioning as well as the all important mental skills throughout this session. 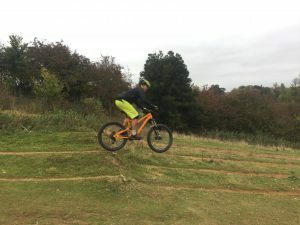 Drops, flat, off camber and flat corners, near vertical drop offs and berms were all riding faster, smoother and more confidently than ever before. 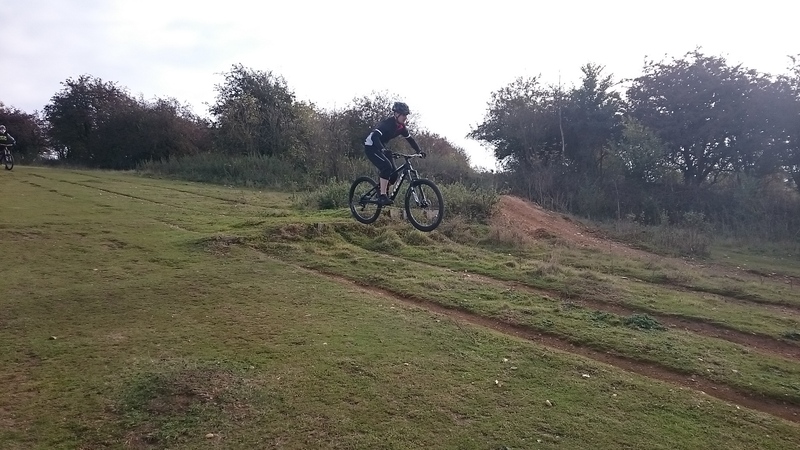 an awesome way to end a cool week of coaching. 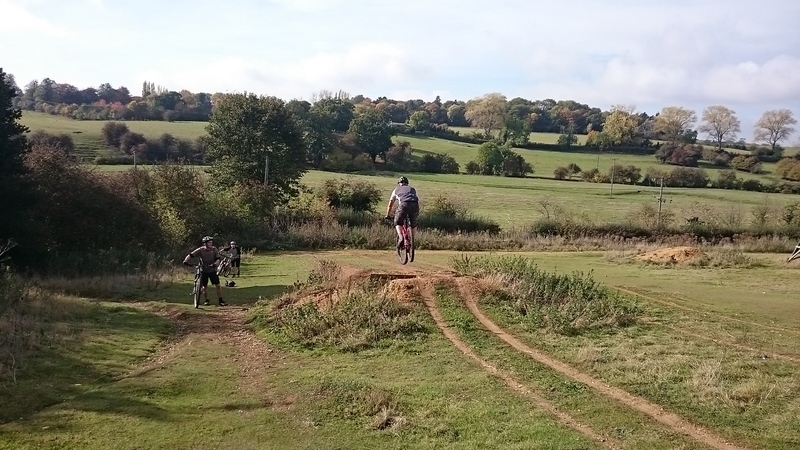 Justin,Ben, Simon and Sid came to another coaching session today before heading into london for Simon’s stag do. 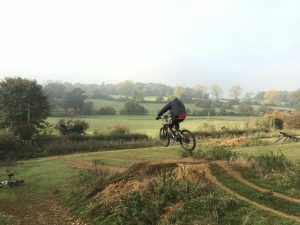 Below are the pictures and a couple of video’s of the final public session of 2016. 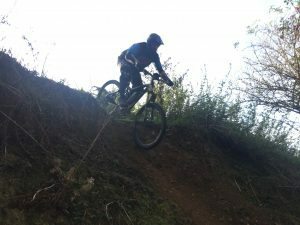 Private bookings only now until march 2017. 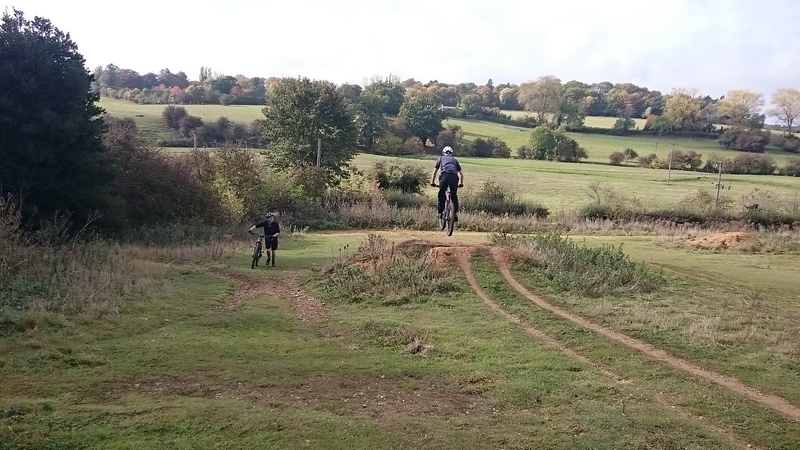 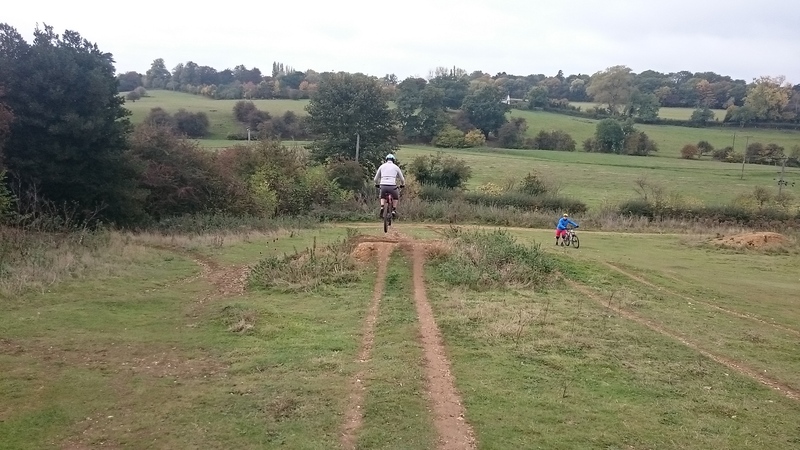 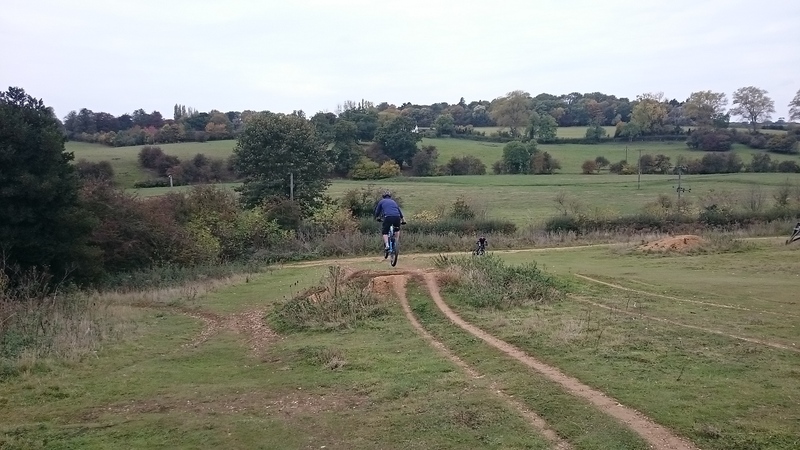 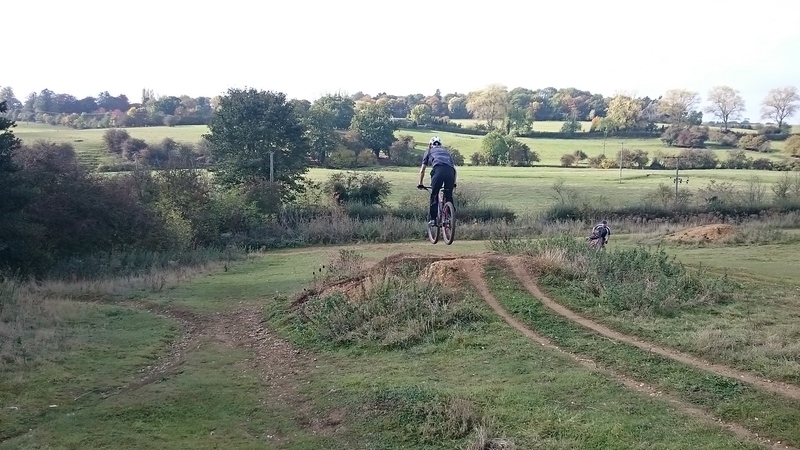 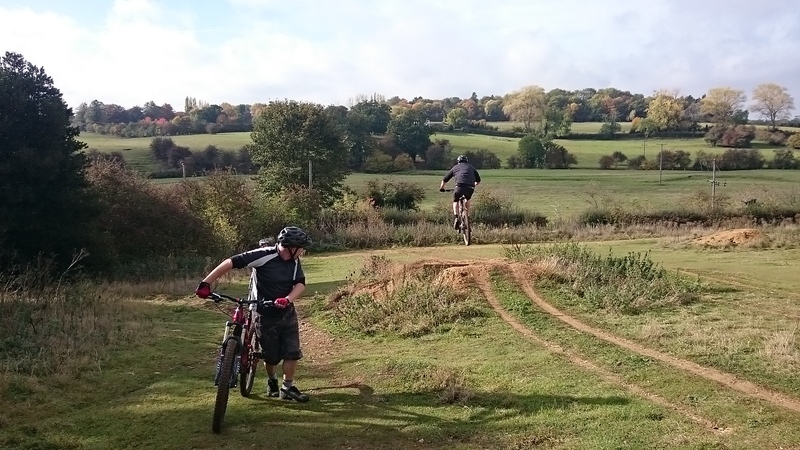 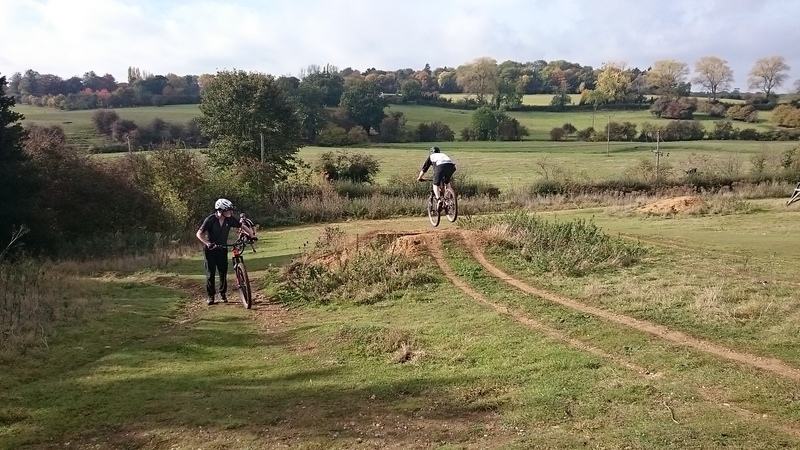 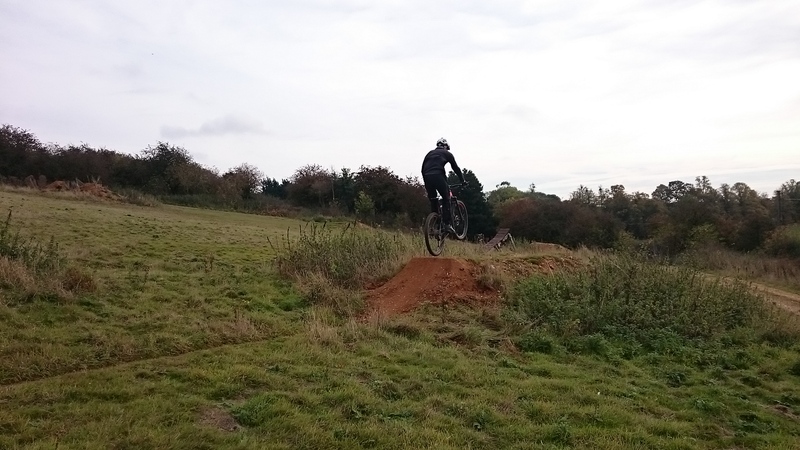 Gary and his son George wanted to gain confidence in their riding especially when jumping. 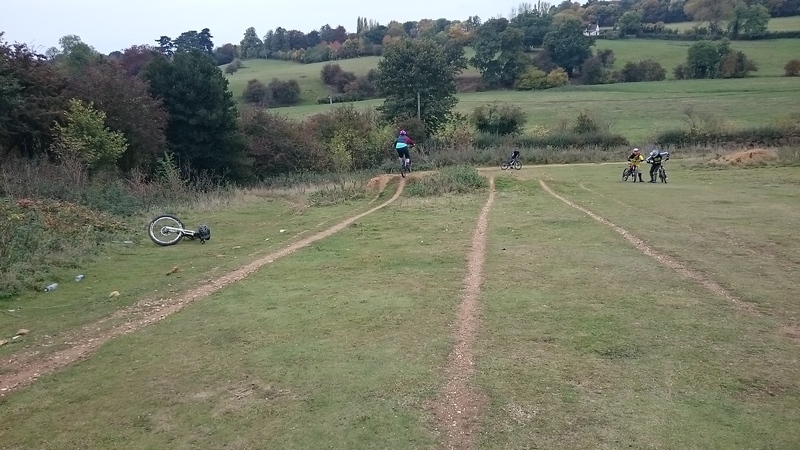 I ran them through my skills check and found the errors in their riding. 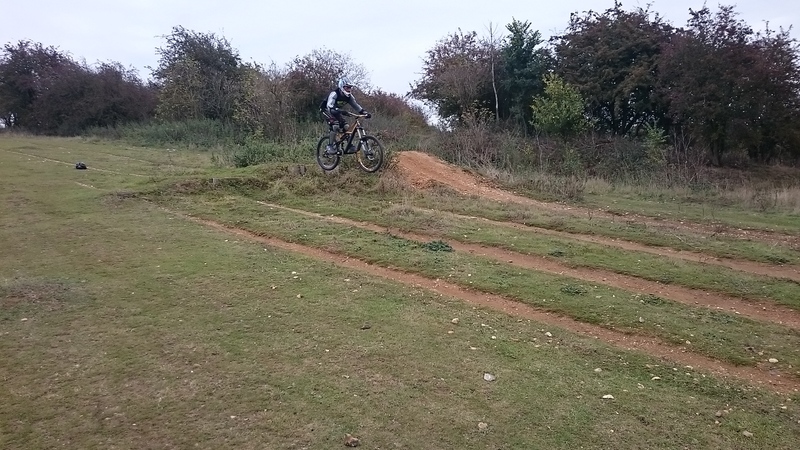 I adjusted their set ups and set to work on applying the physical and mental skills that we at uk bike skills teach. 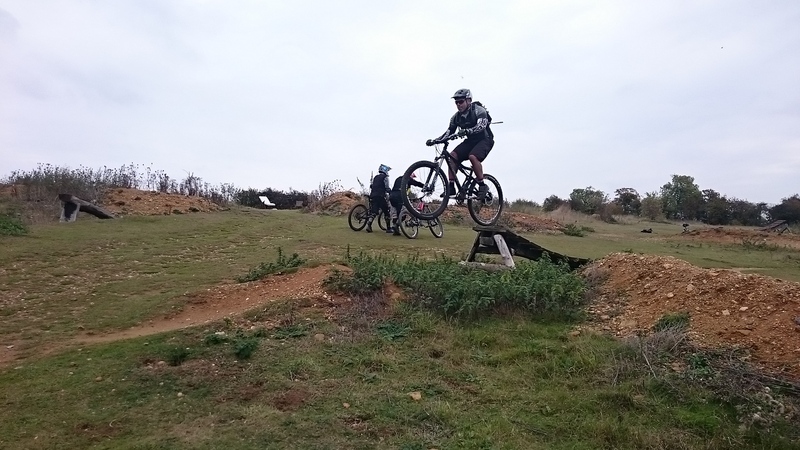 Drops, tabletops and gap jumps were soon flying beneath their wheels and once I had corrected their cornering, they linked everything together. 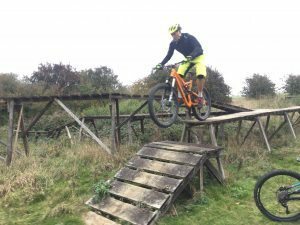 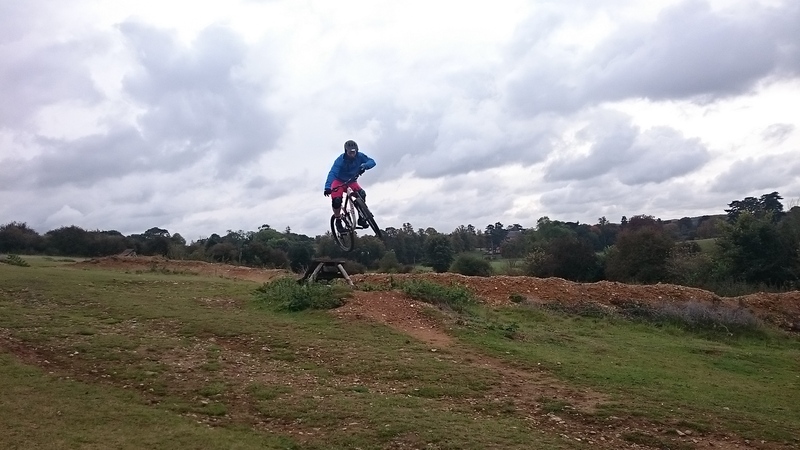 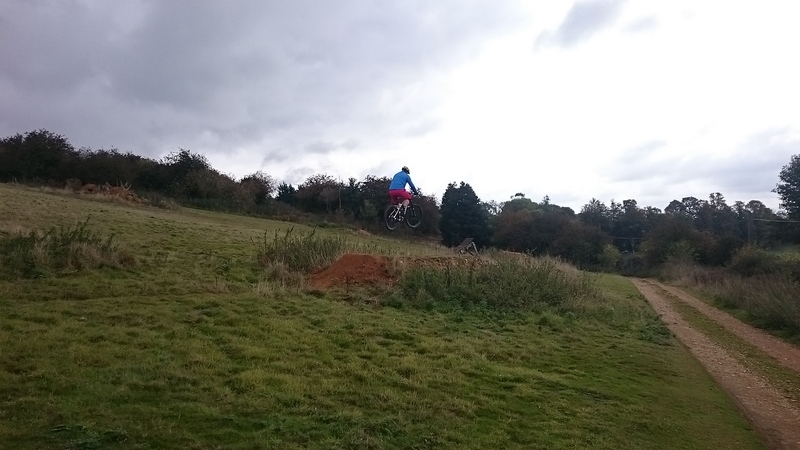 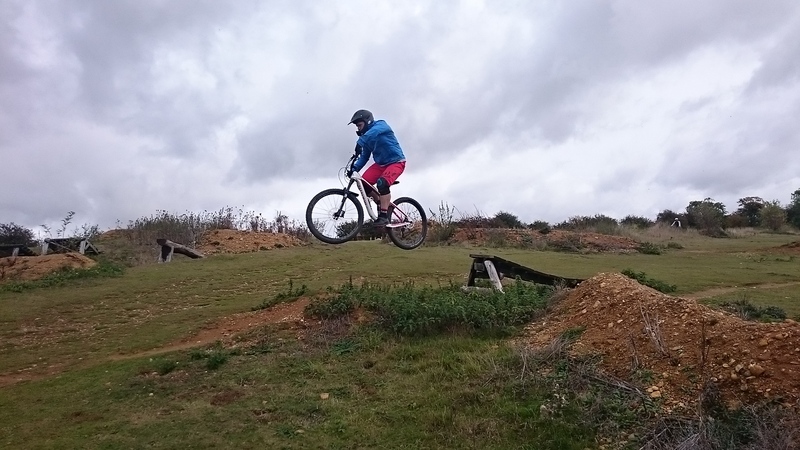 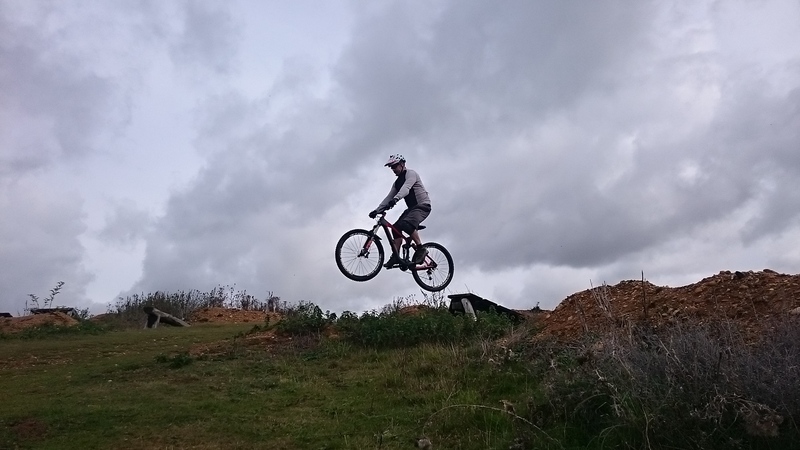 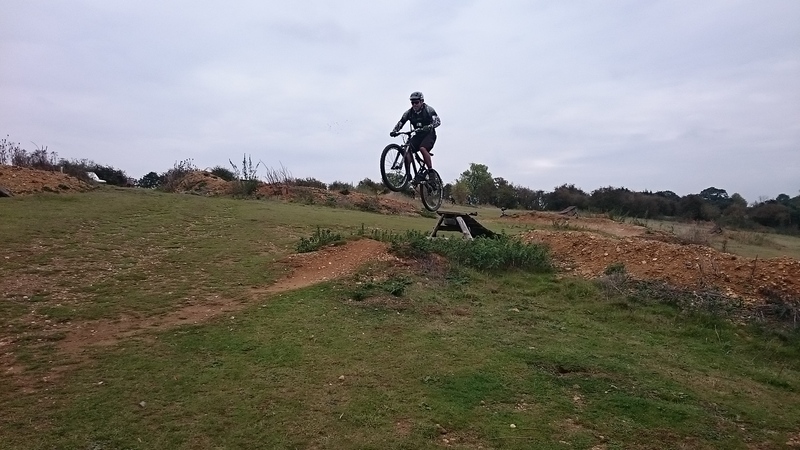 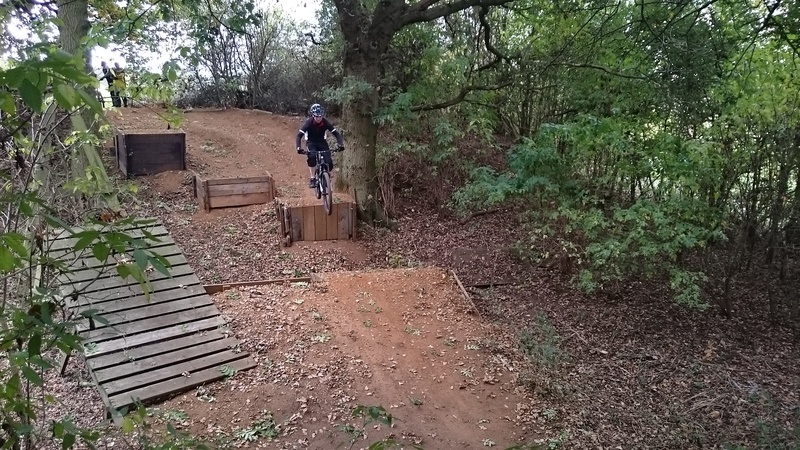 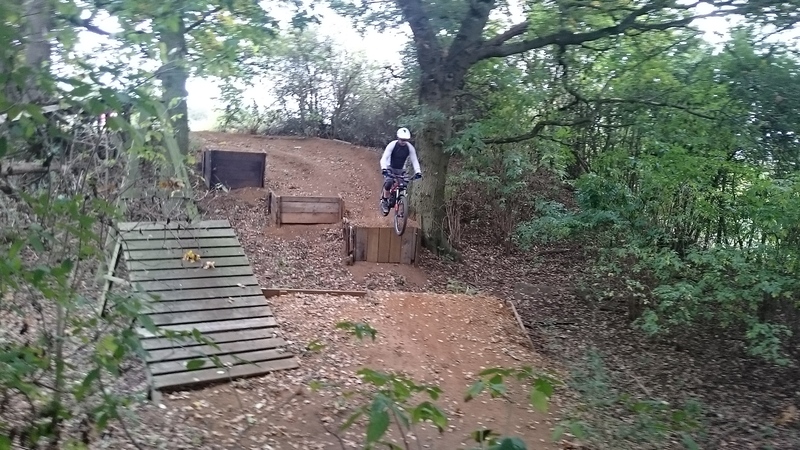 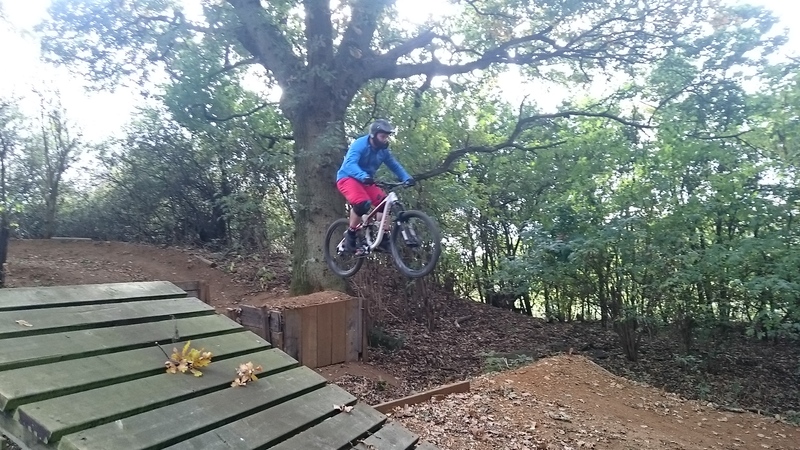 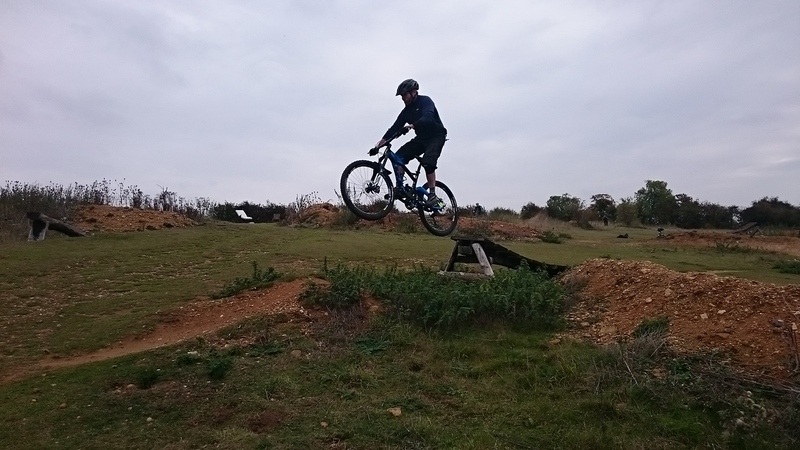 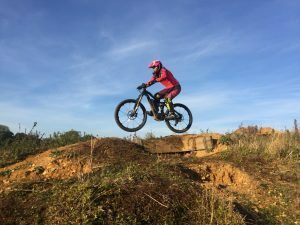 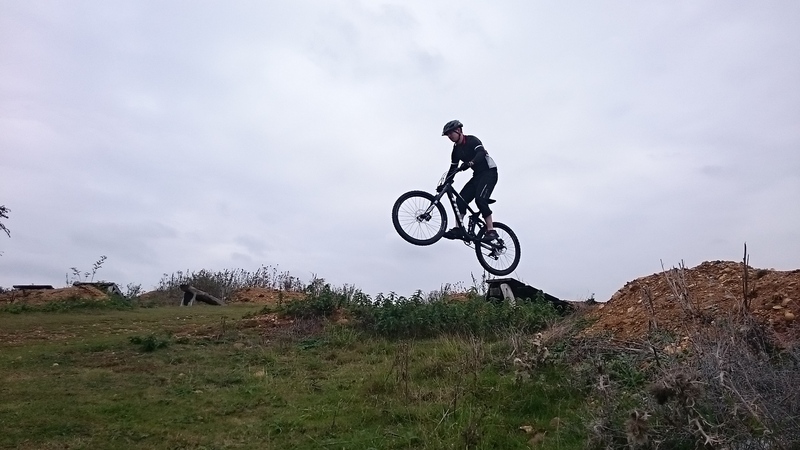 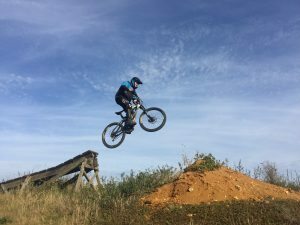 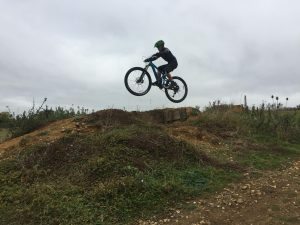 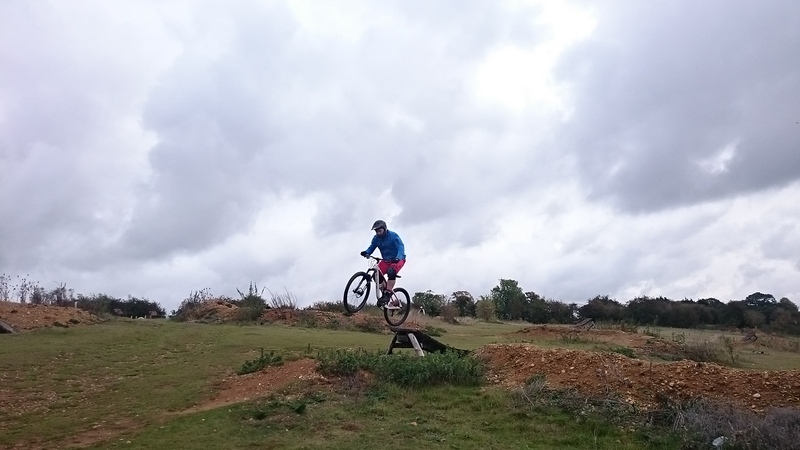 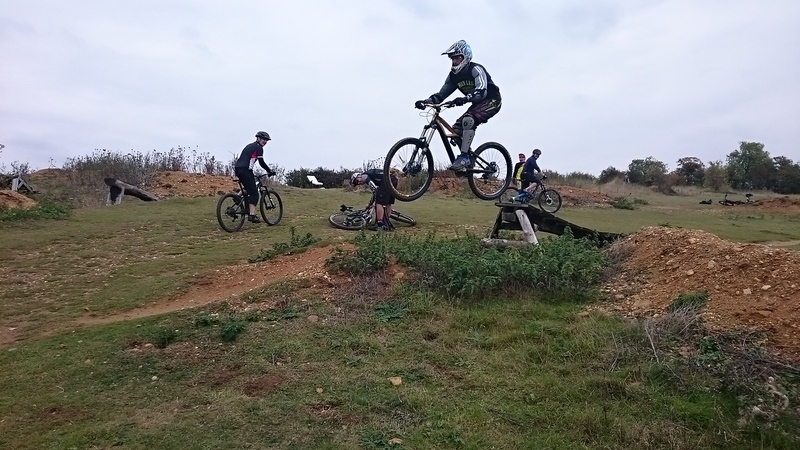 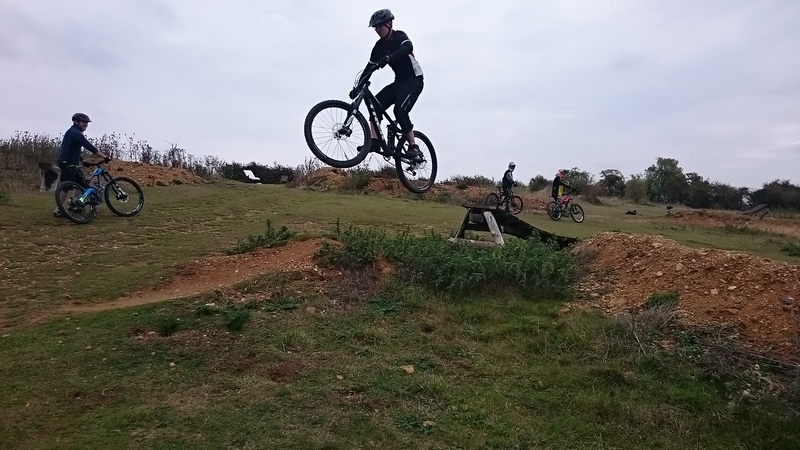 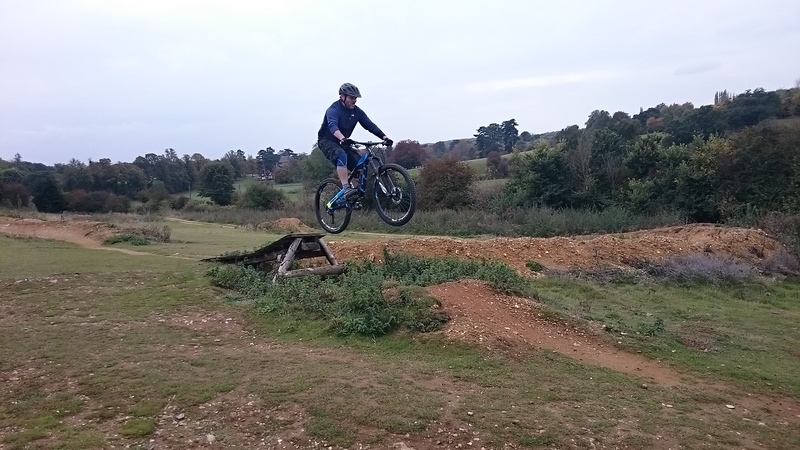 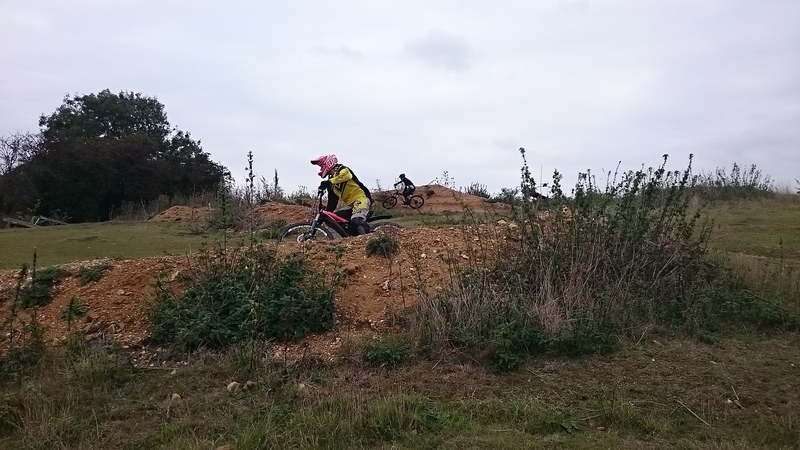 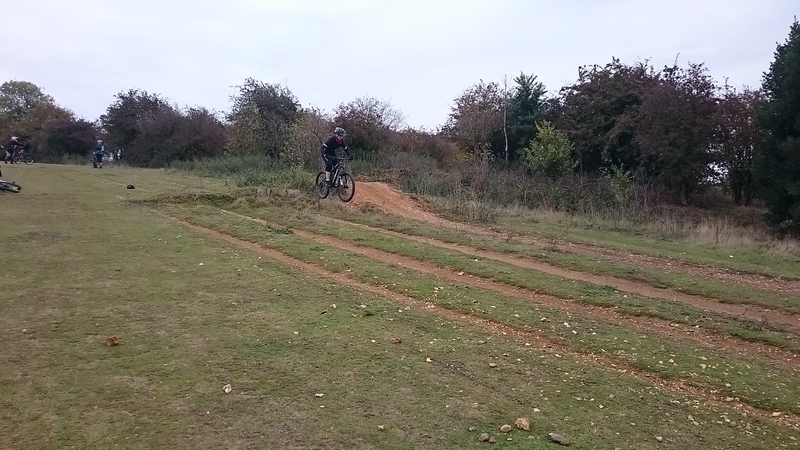 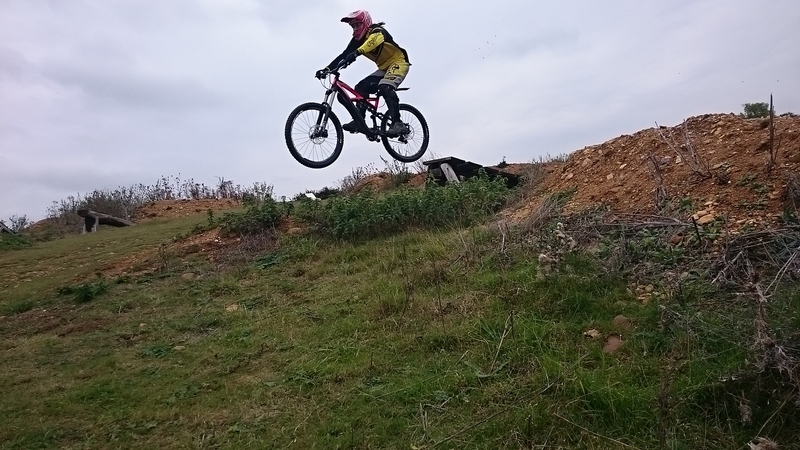 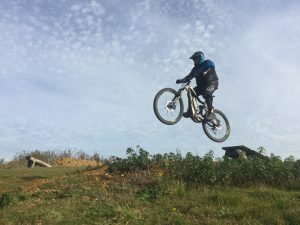 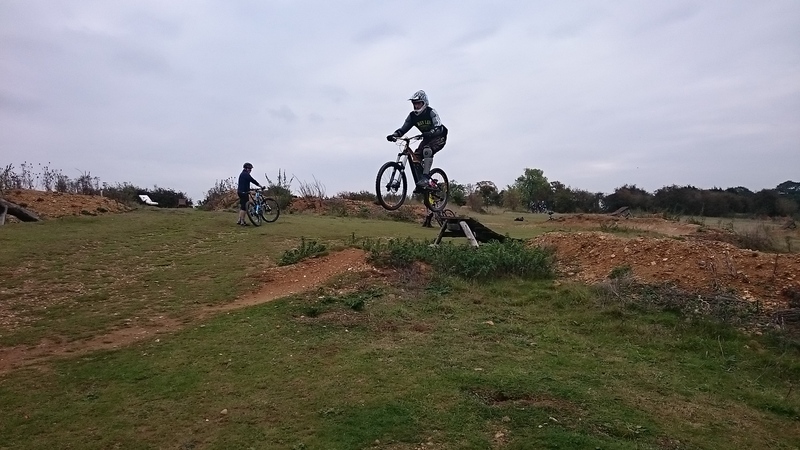 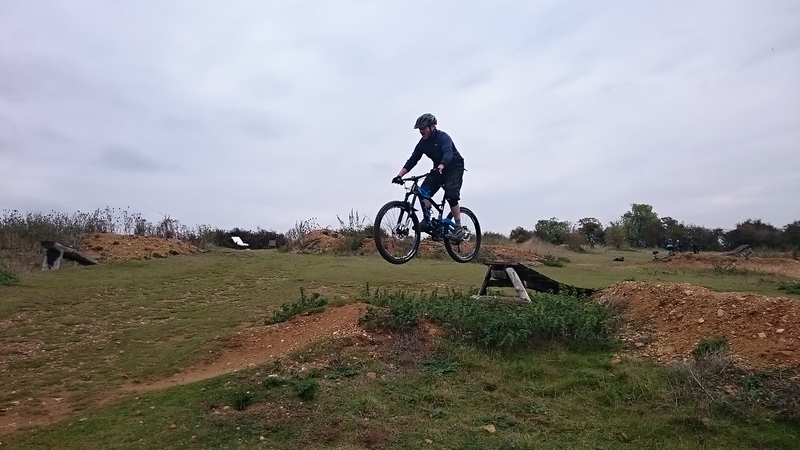 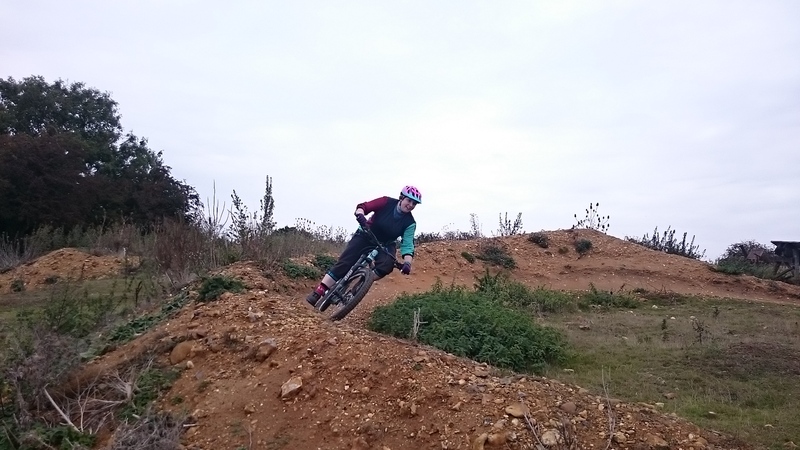 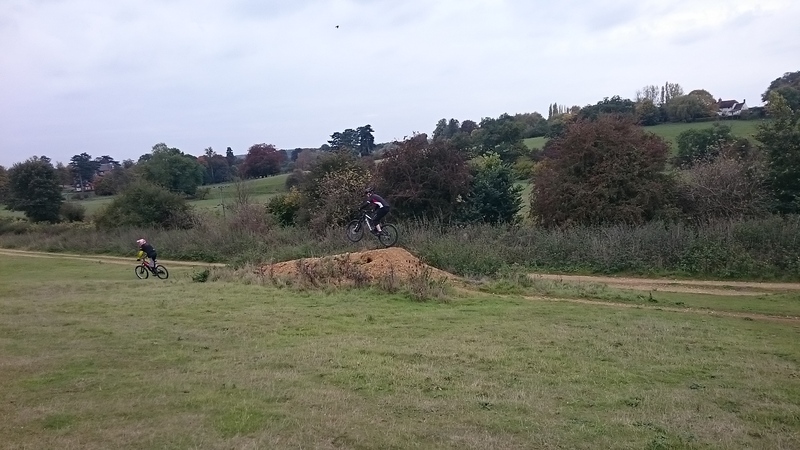 Stewart is a road bike rider but recently got into mountain biking and wanted to get some coaching. 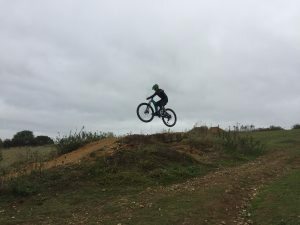 He found ourselves via google and today was his day. 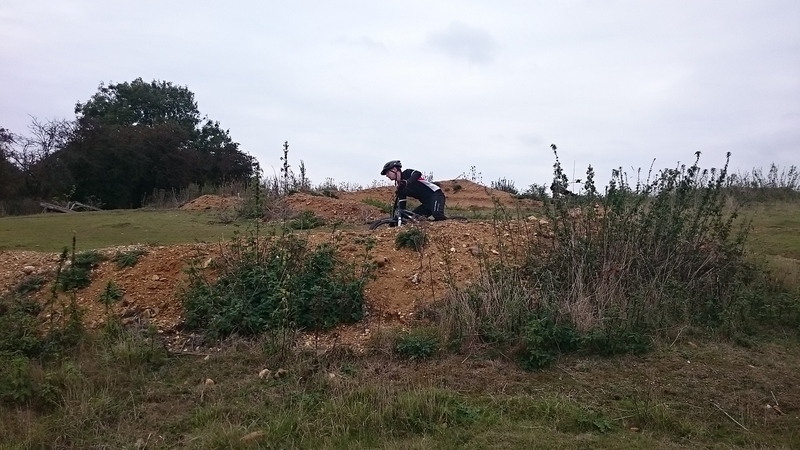 The skills check showed that I needed to work on looking and positioning in all areas, so I set to work. 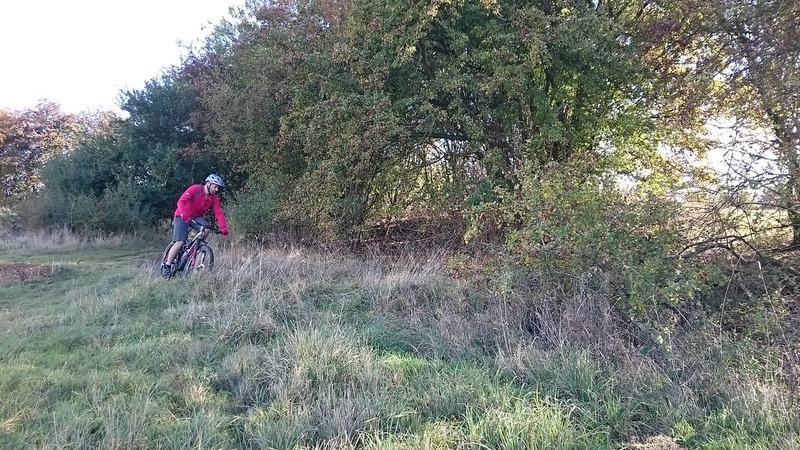 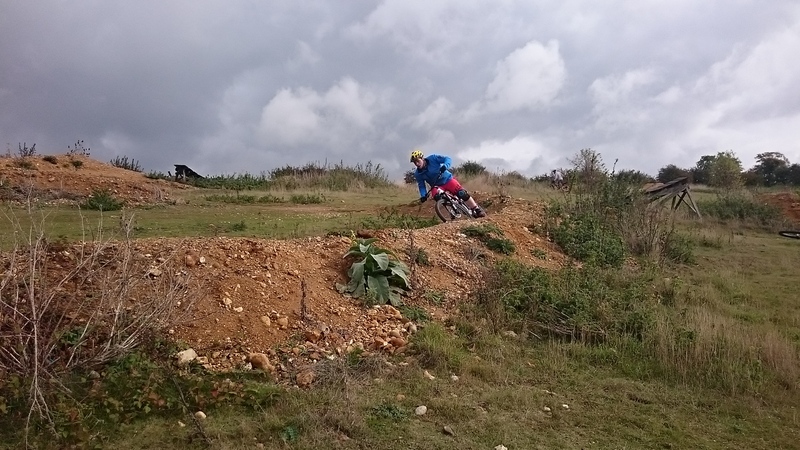 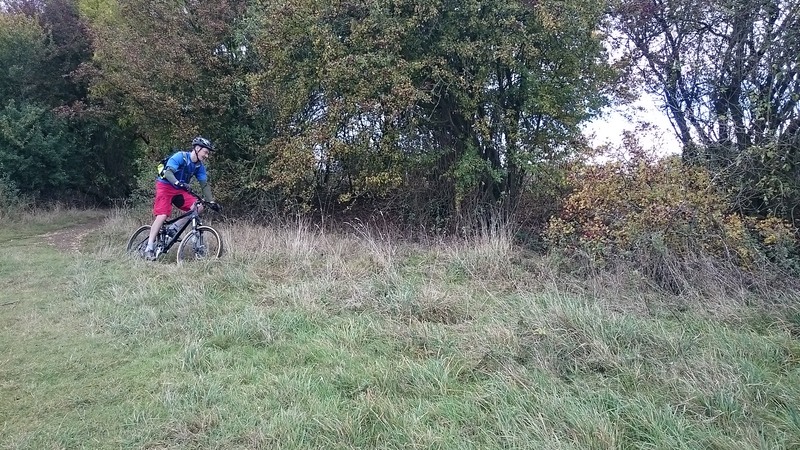 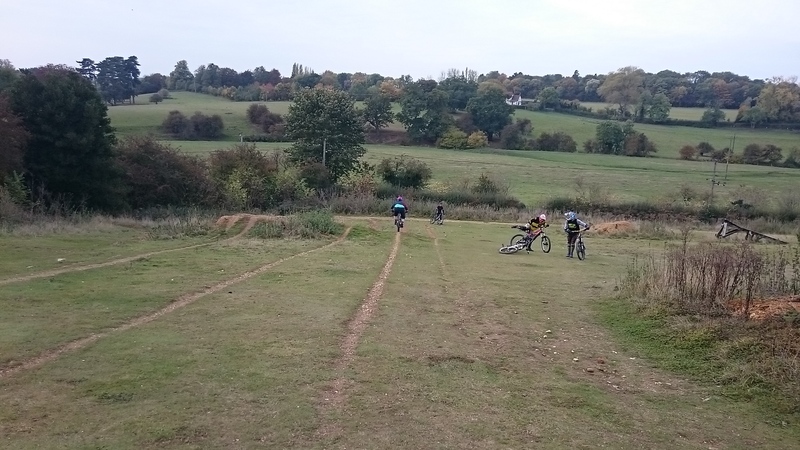 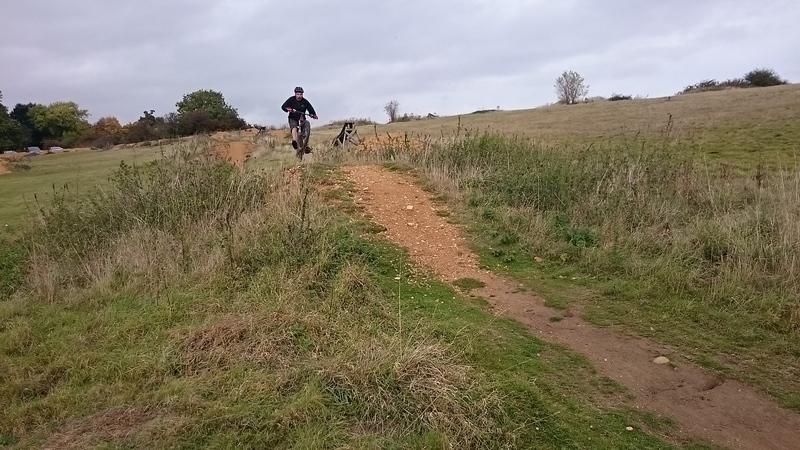 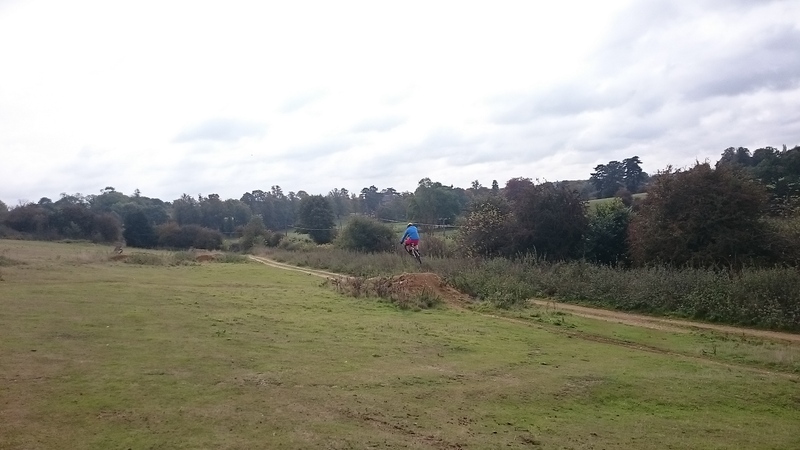 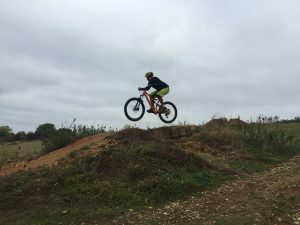 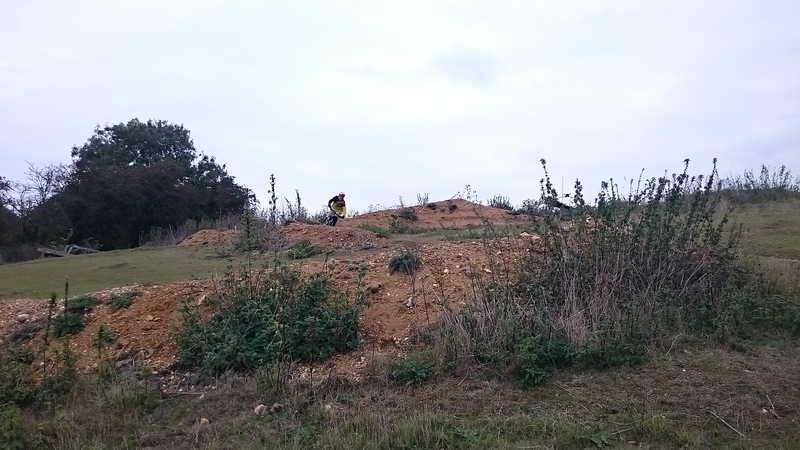 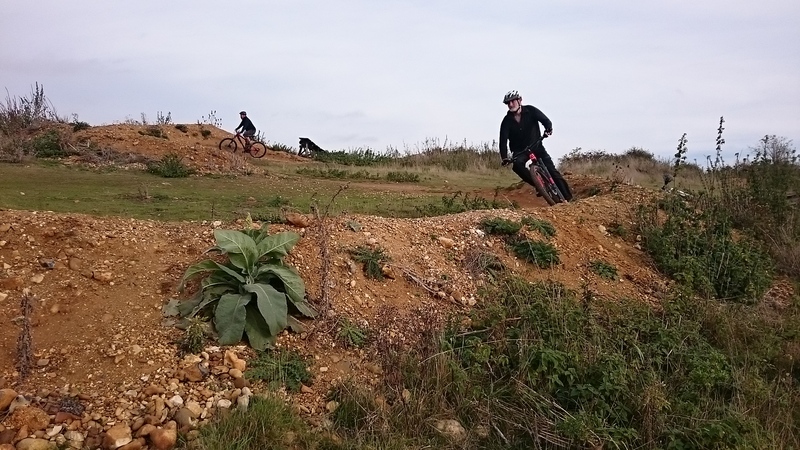 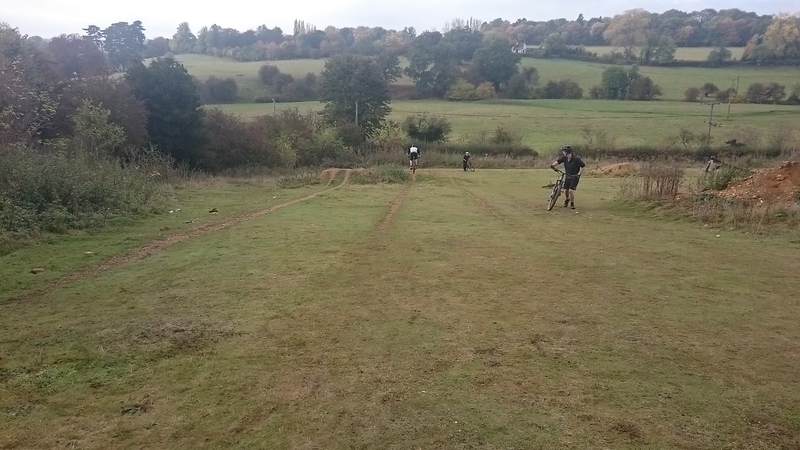 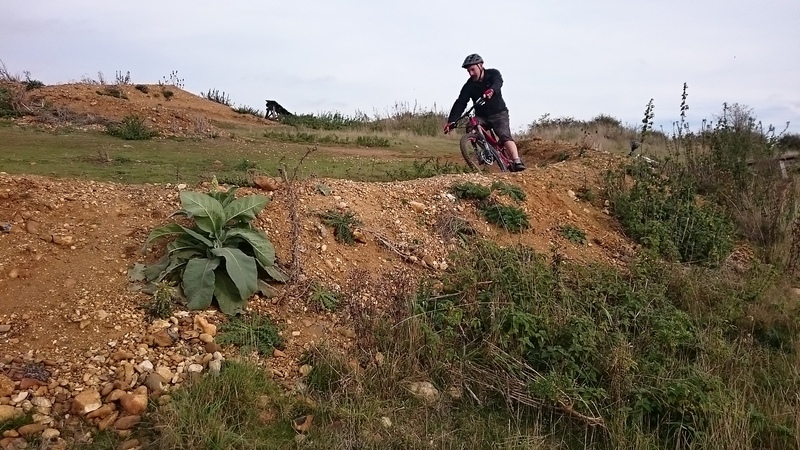 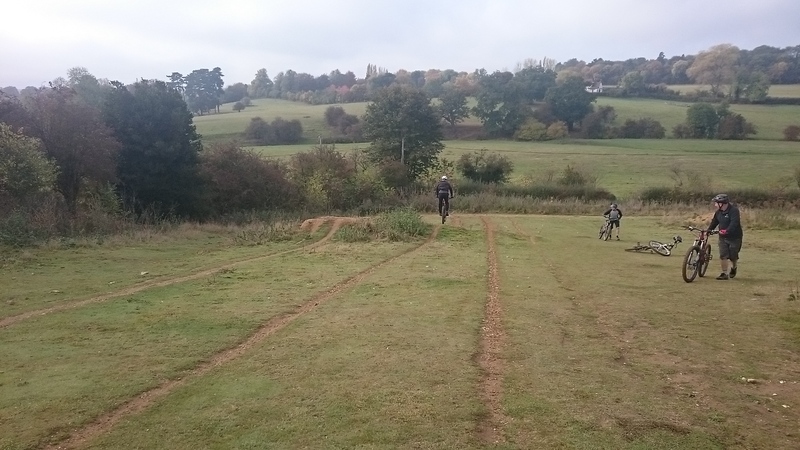 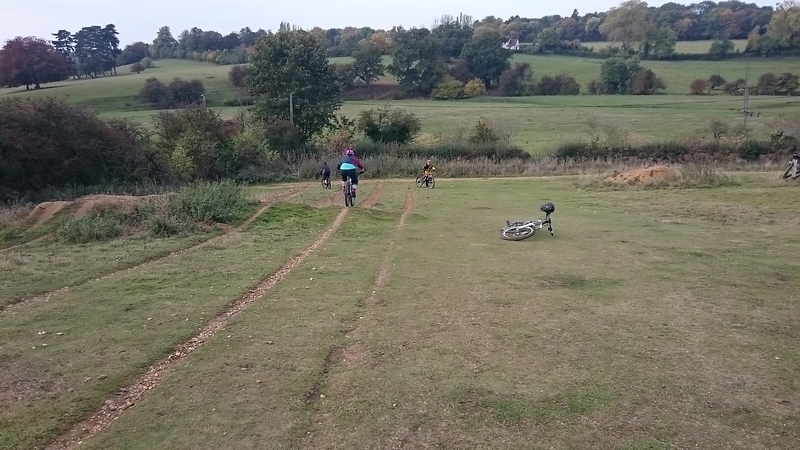 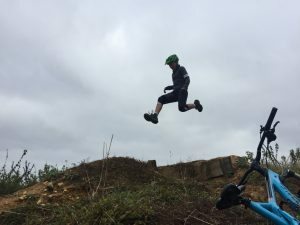 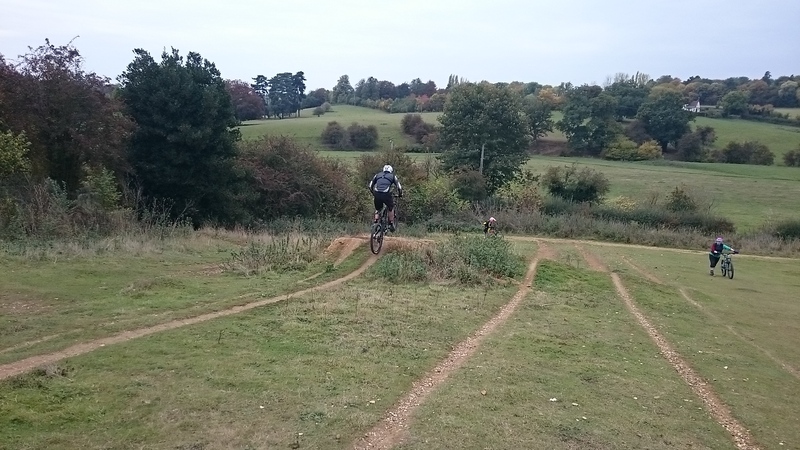 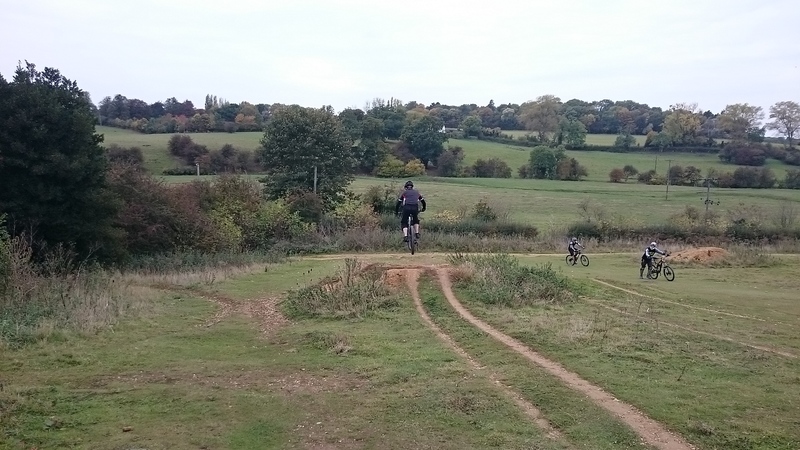 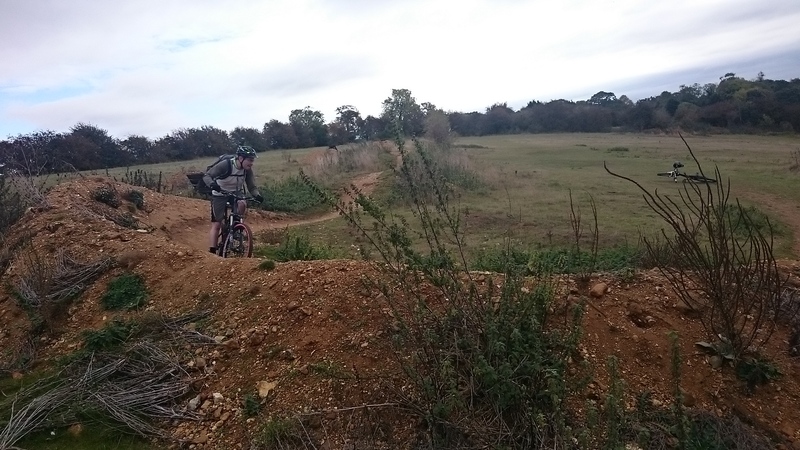 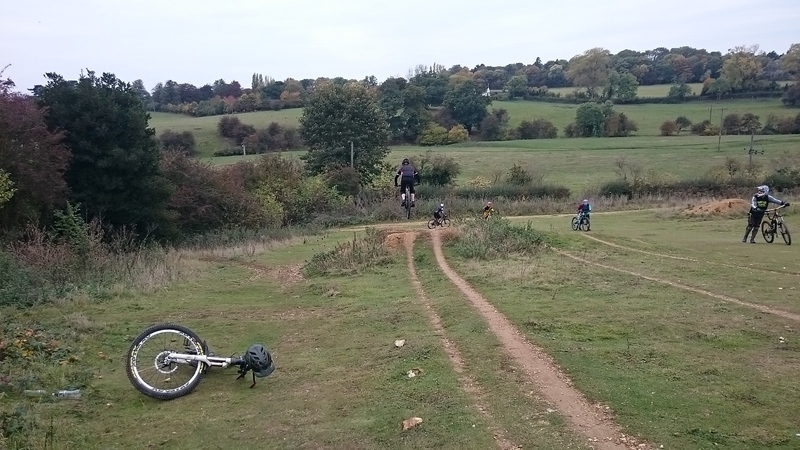 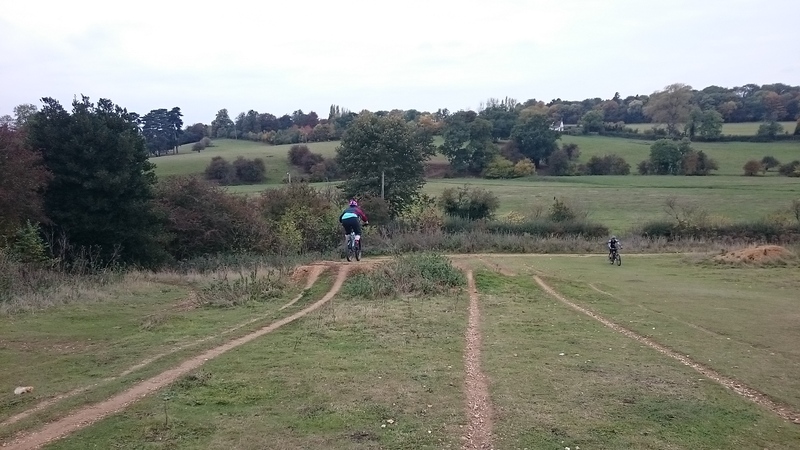 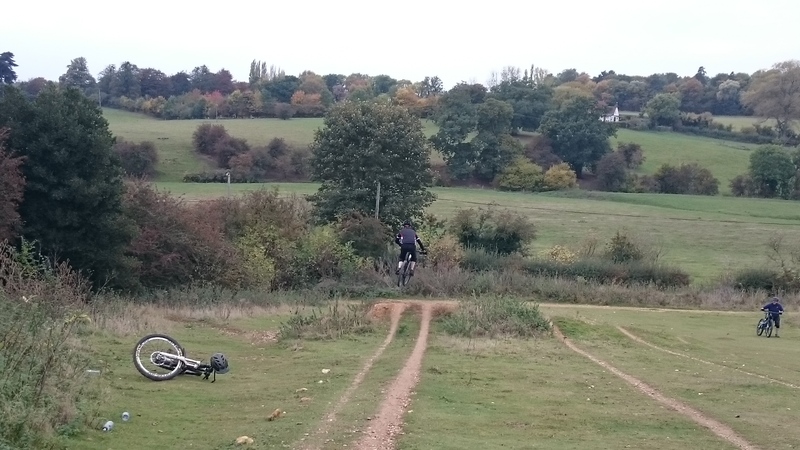 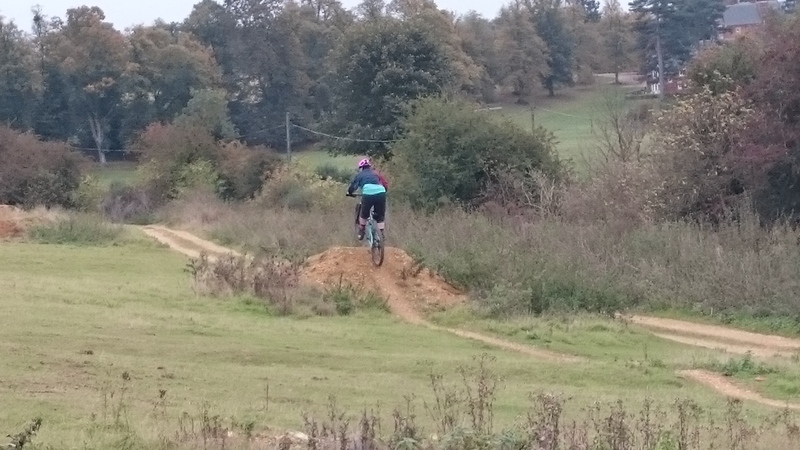 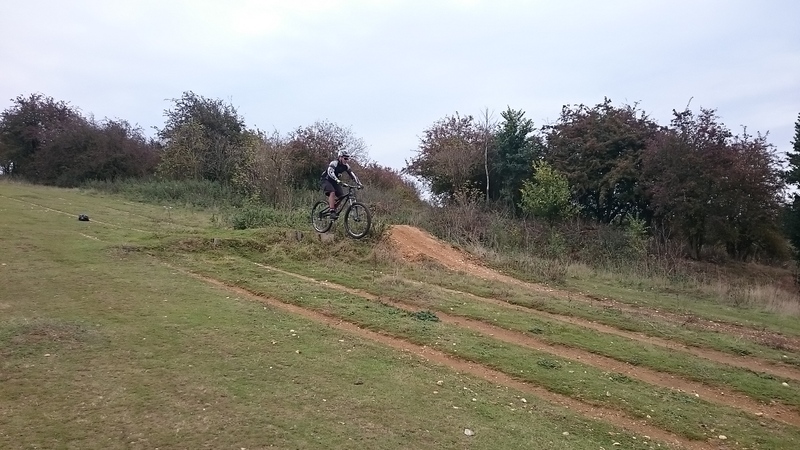 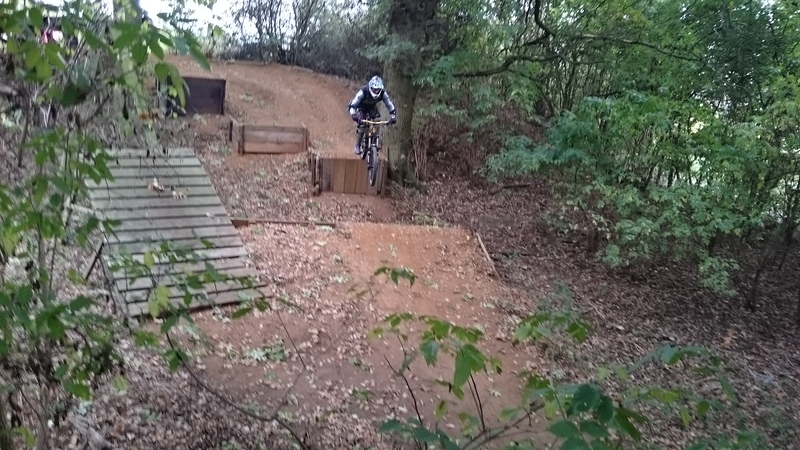 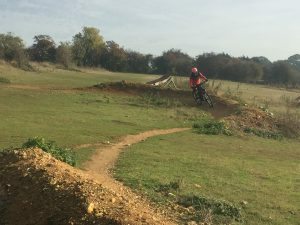 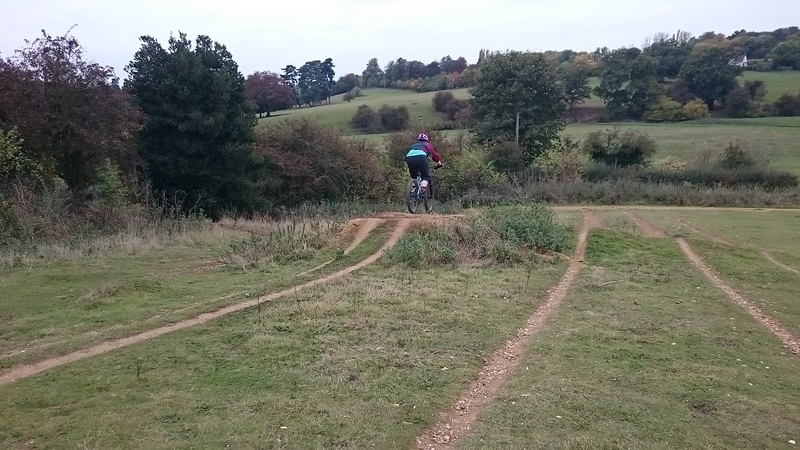 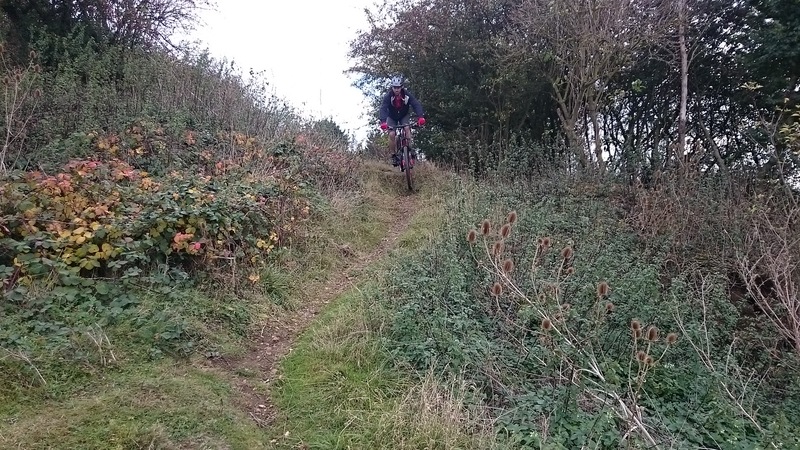 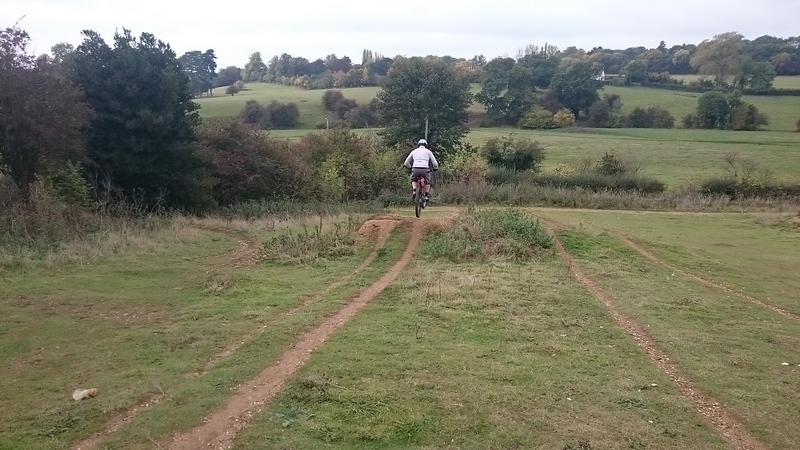 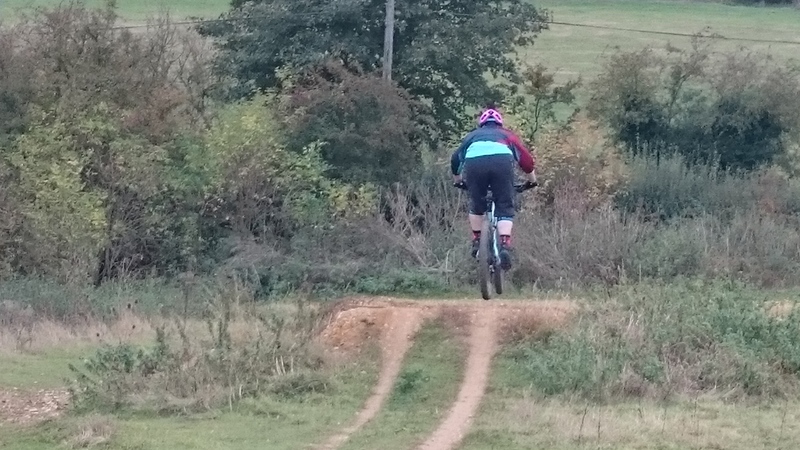 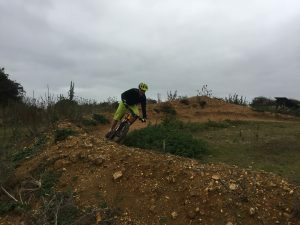 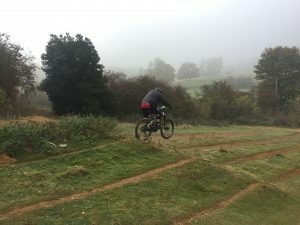 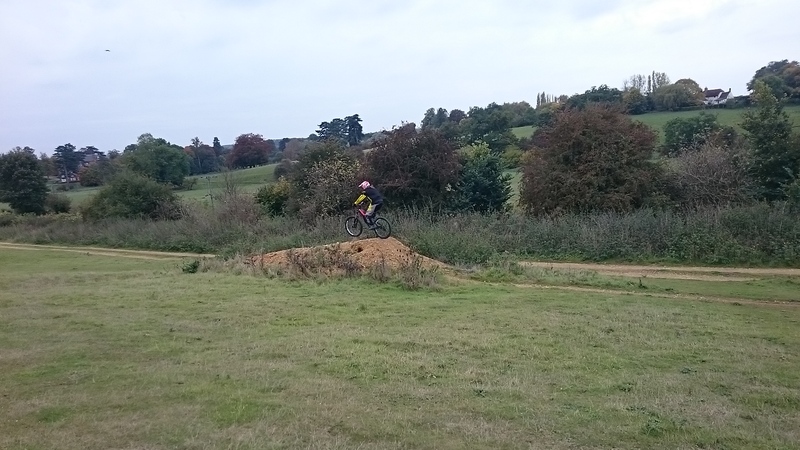 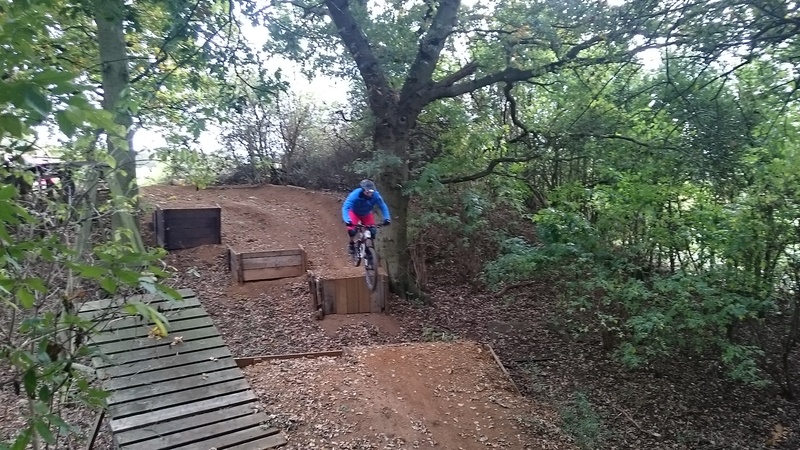 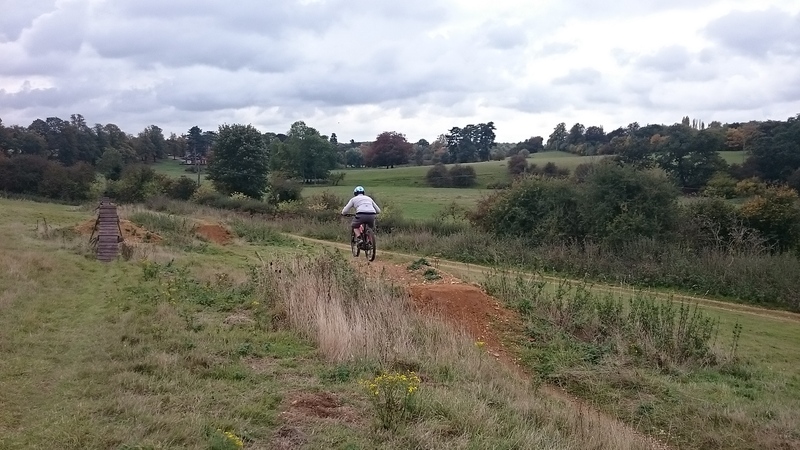 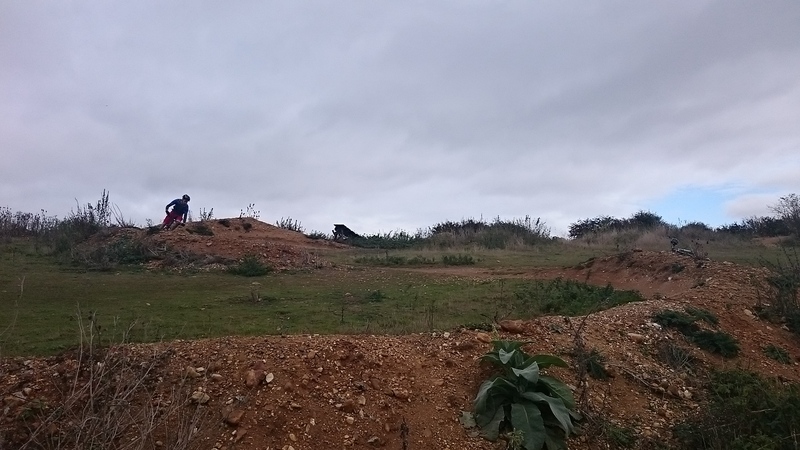 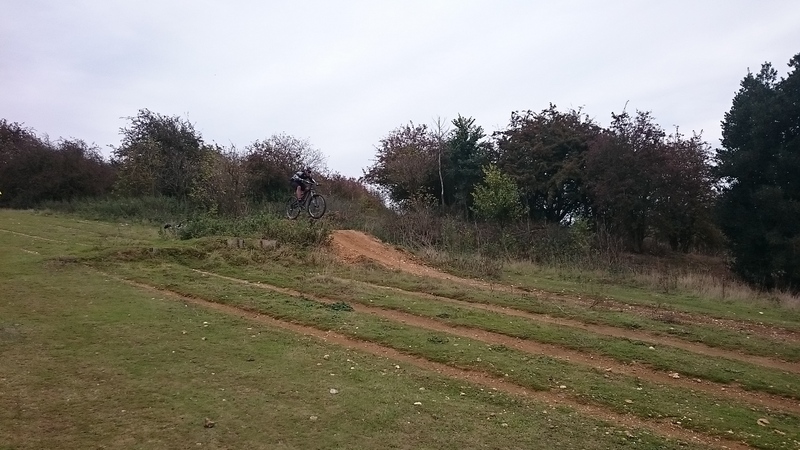 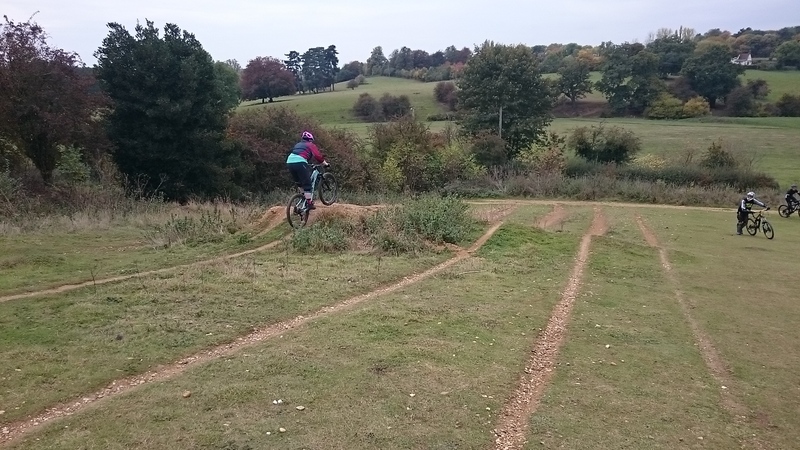 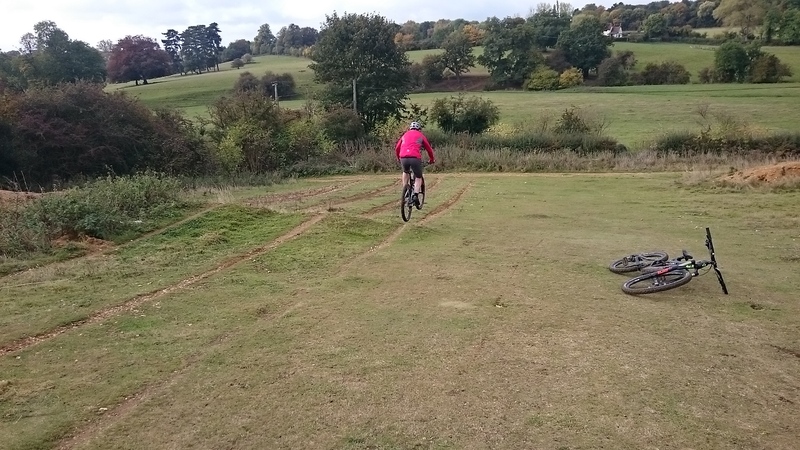 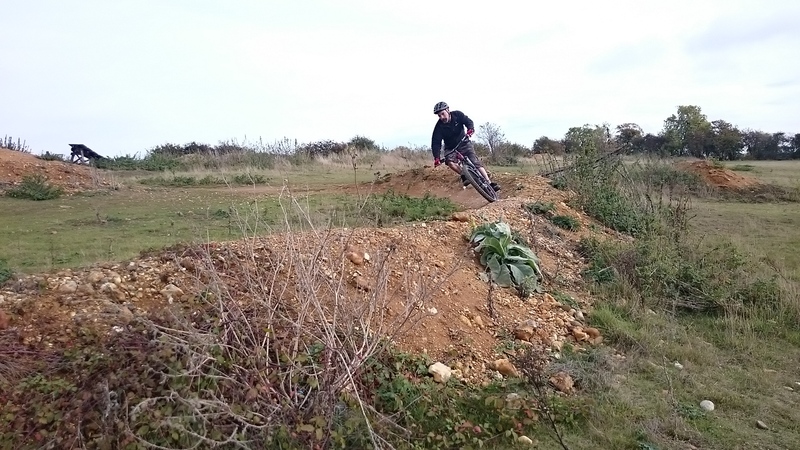 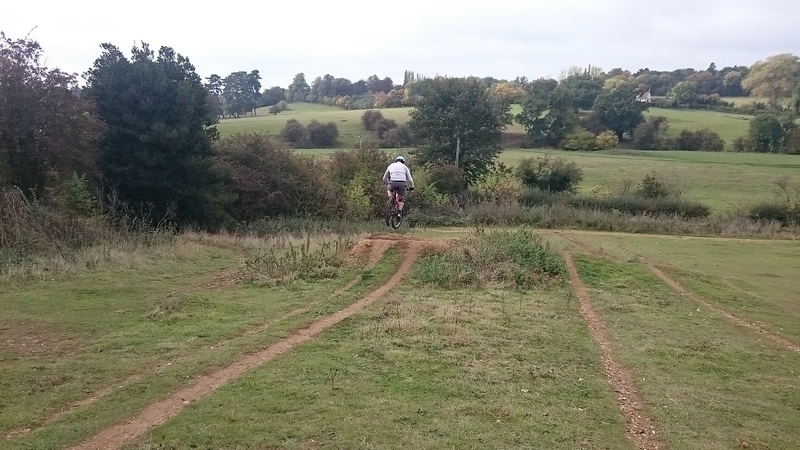 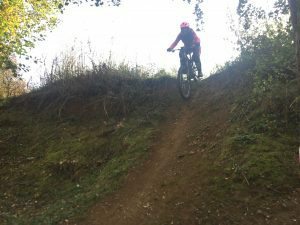 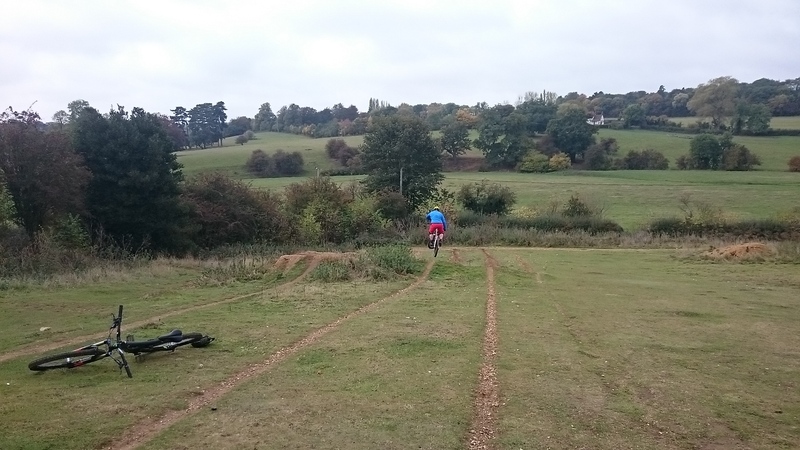 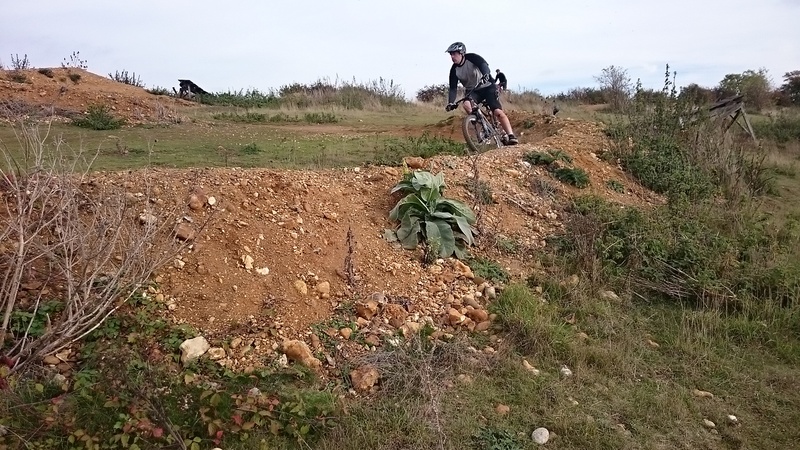 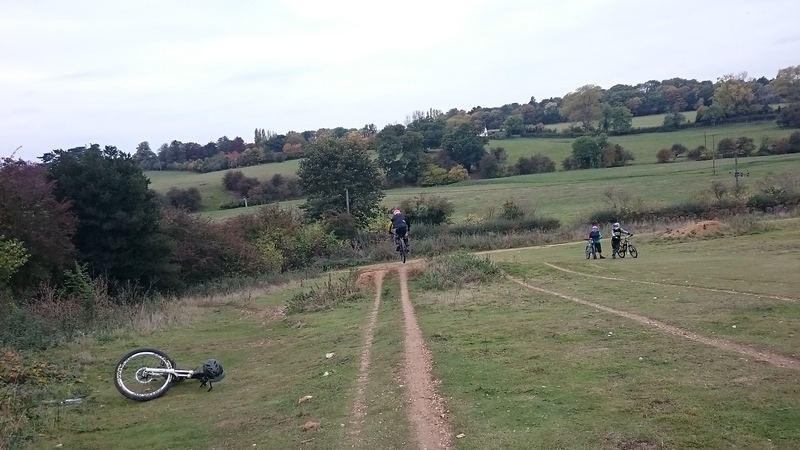 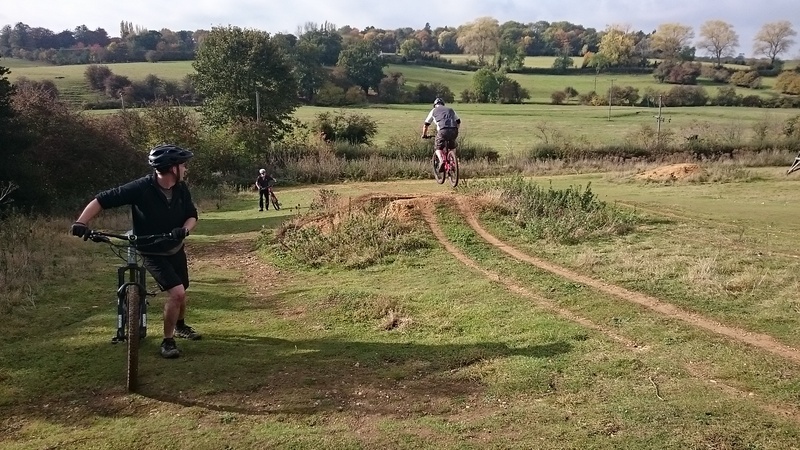 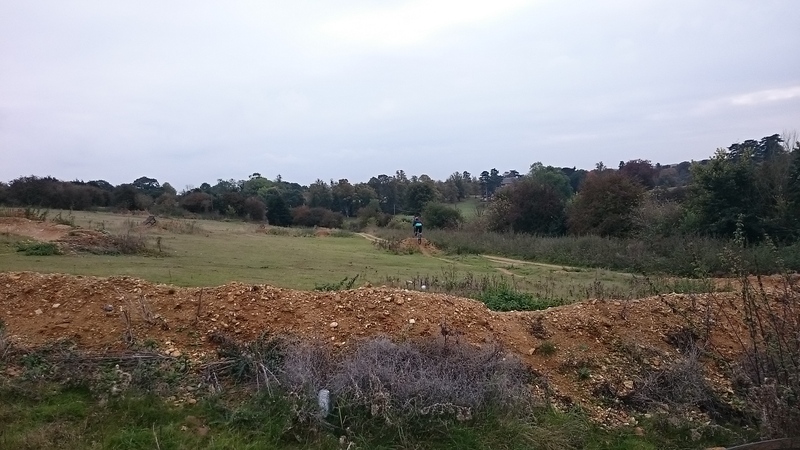 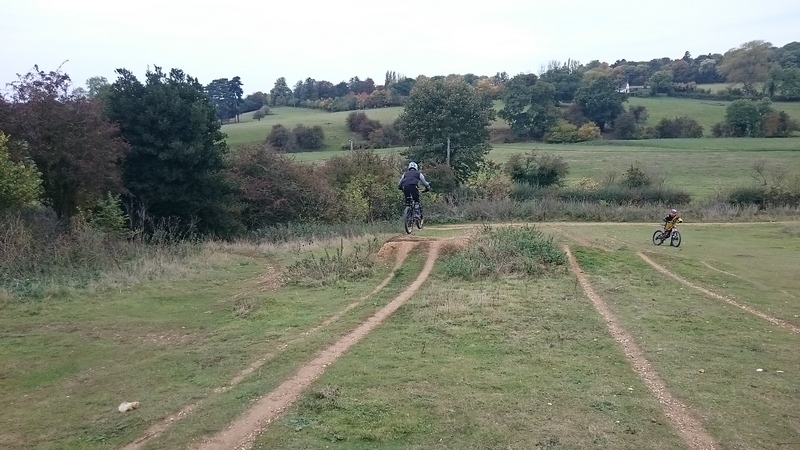 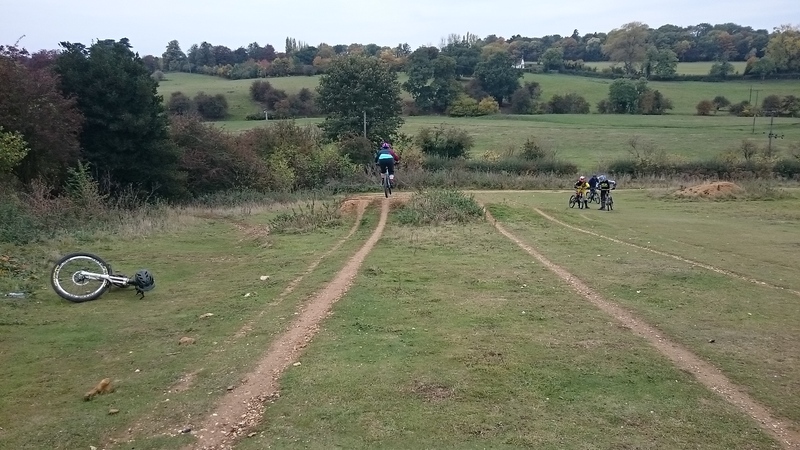 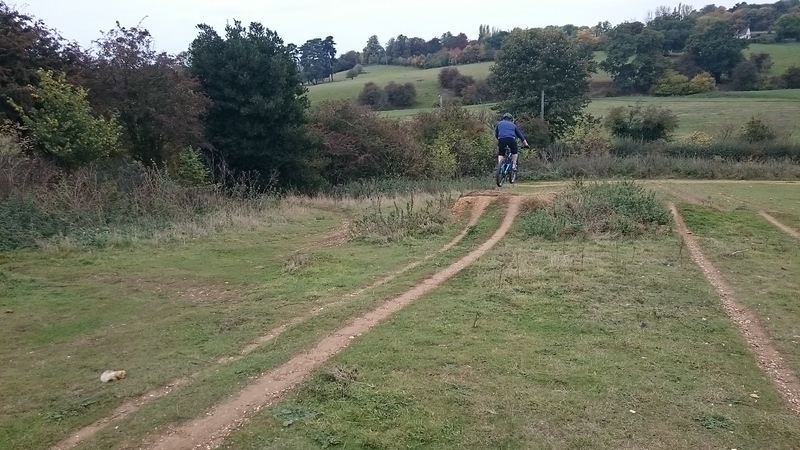 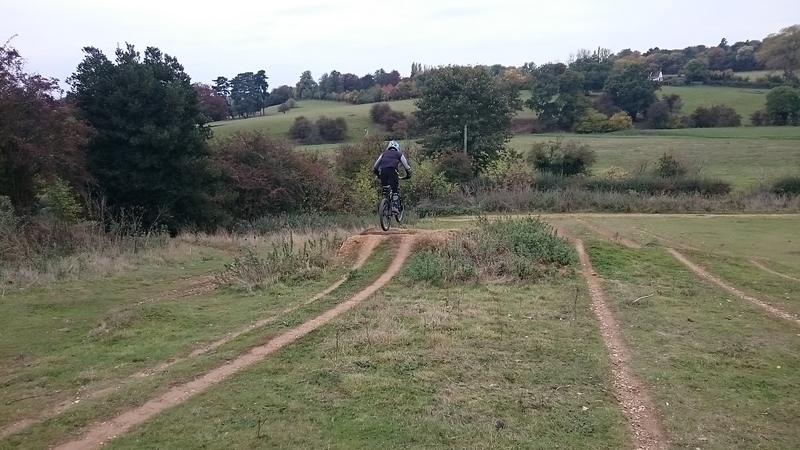 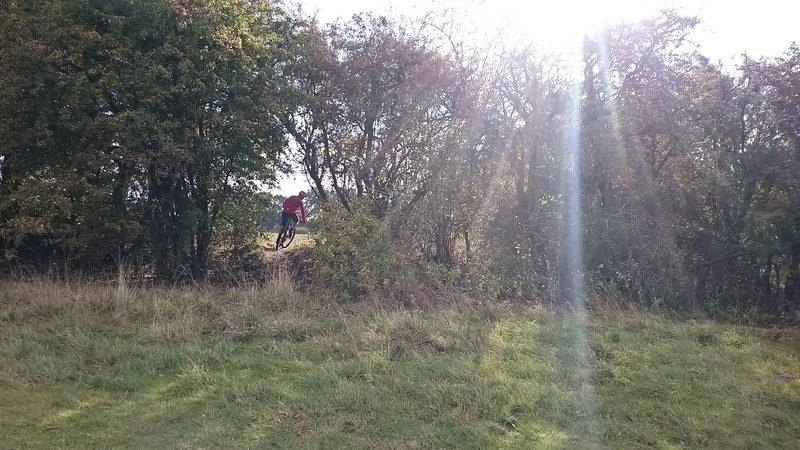 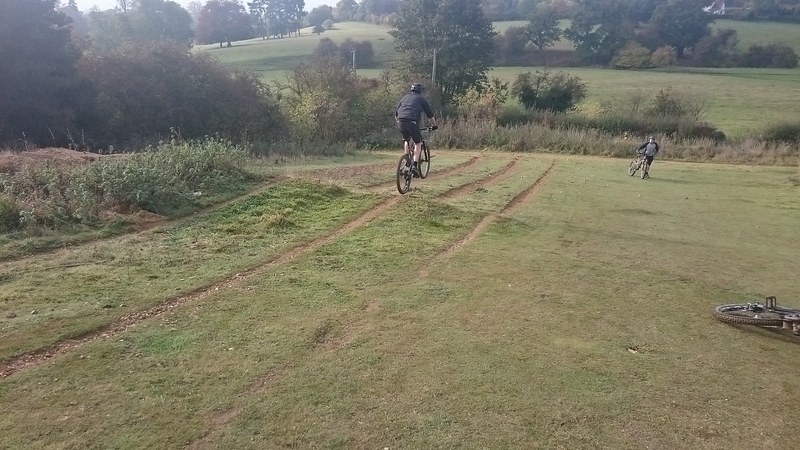 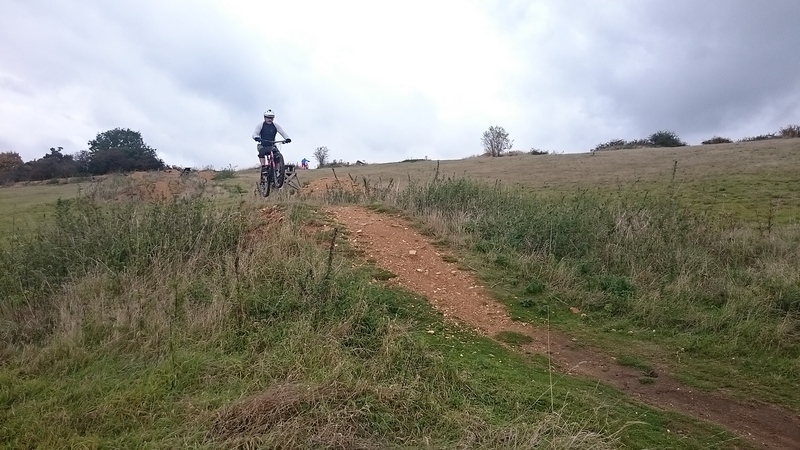 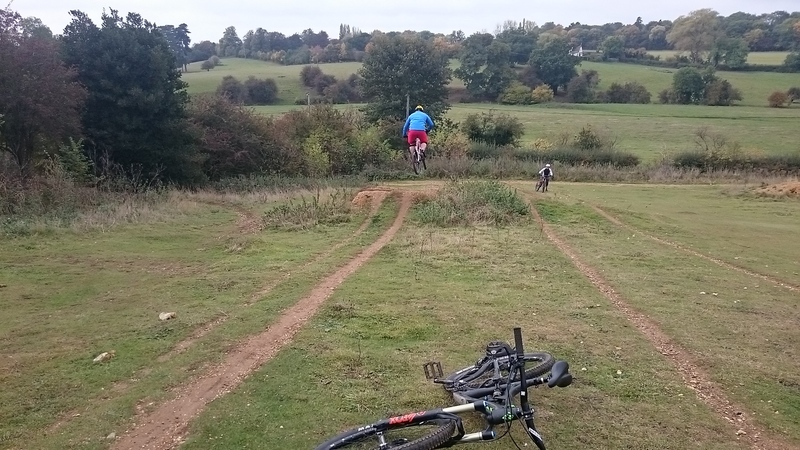 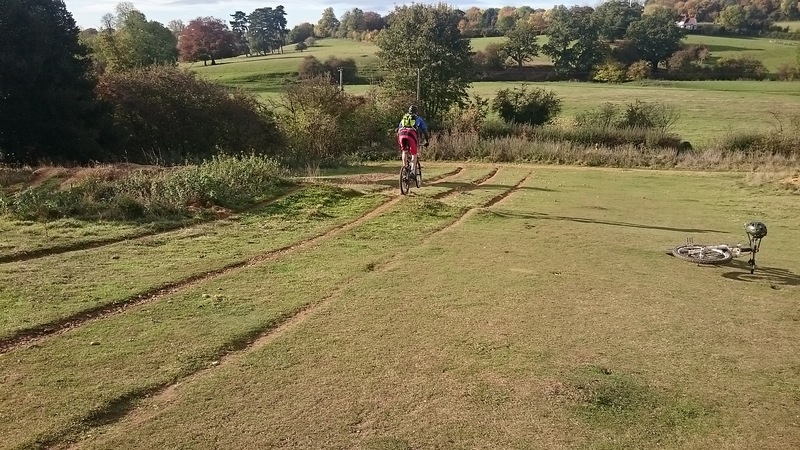 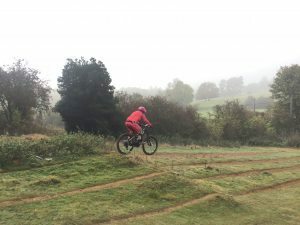 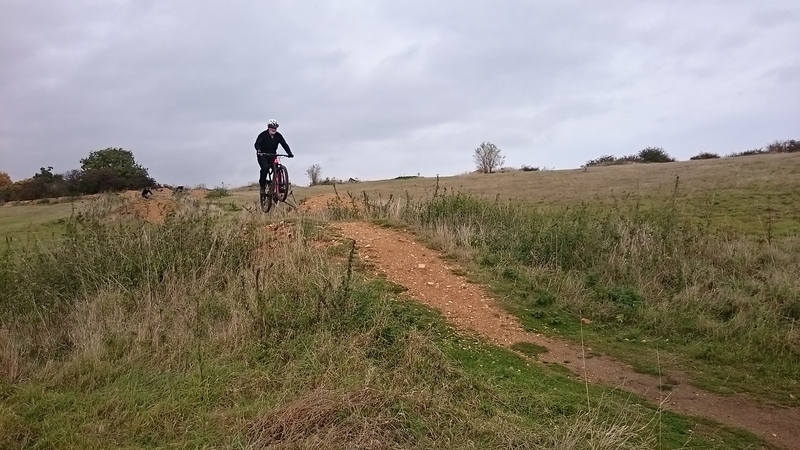 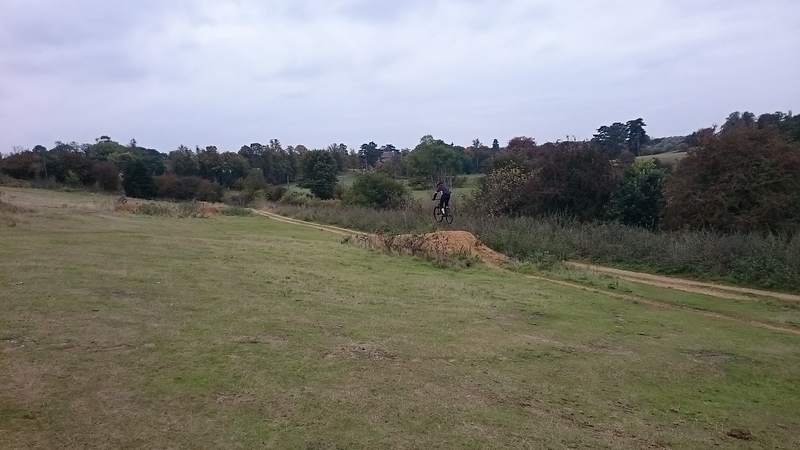 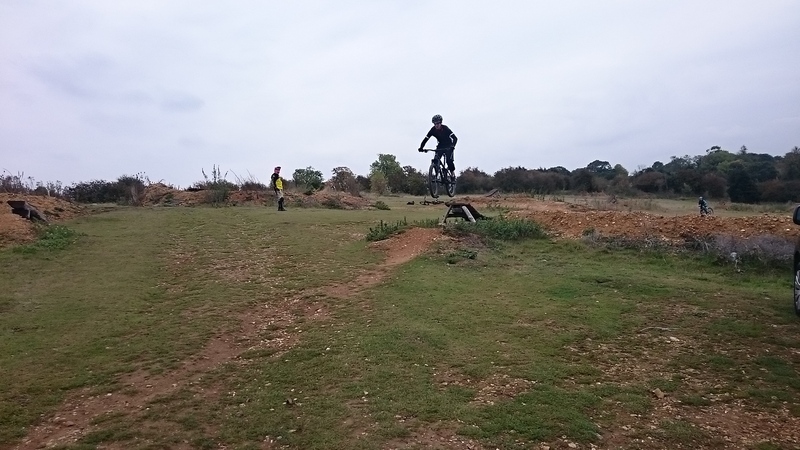 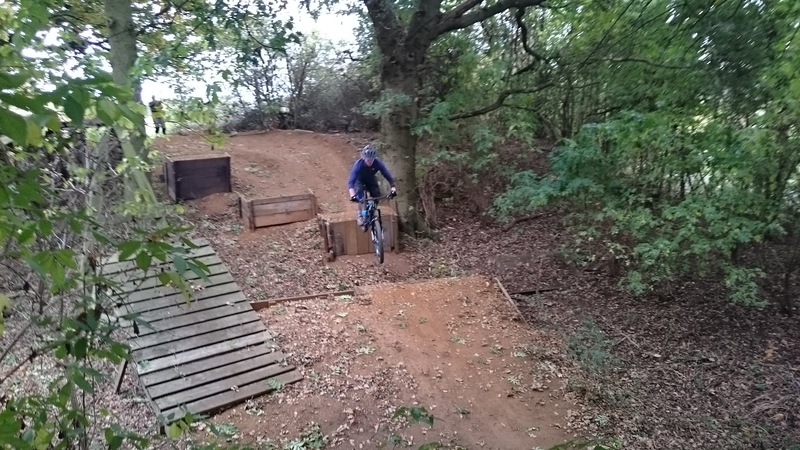 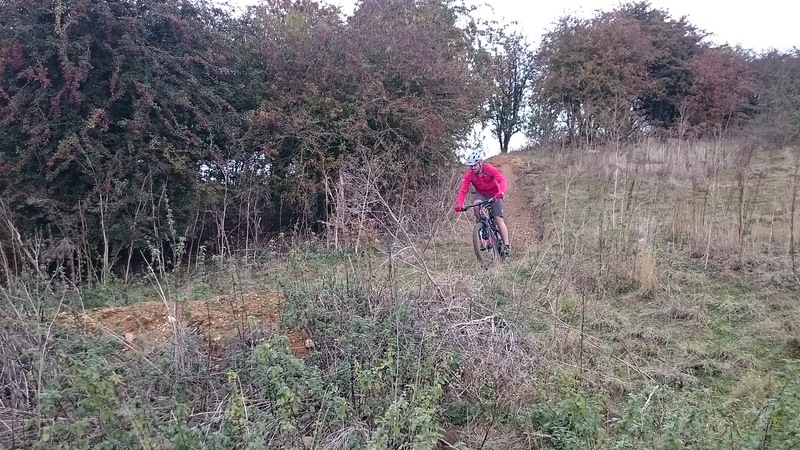 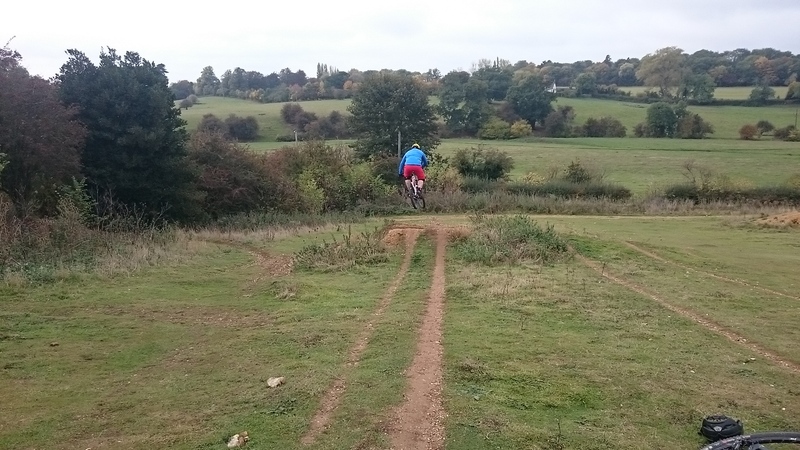 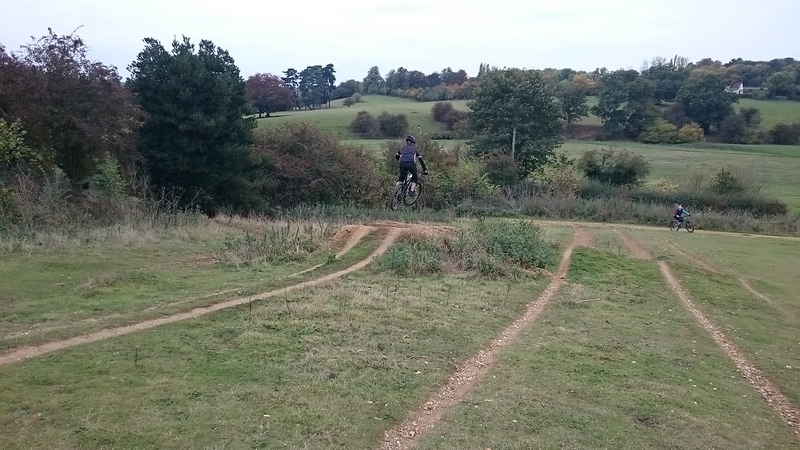 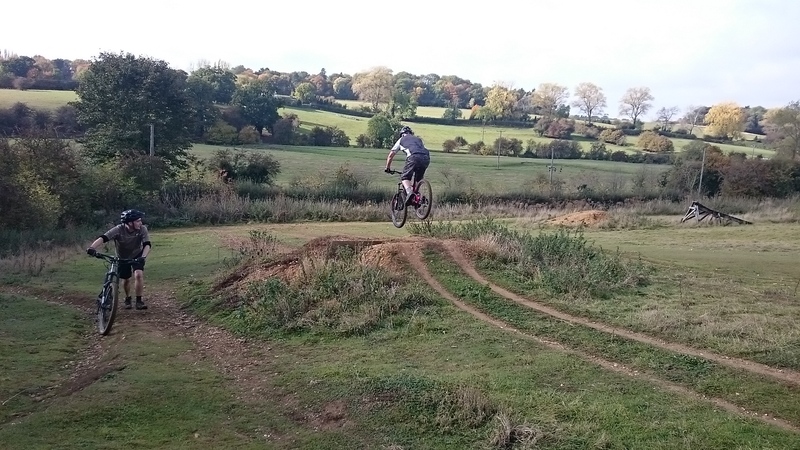 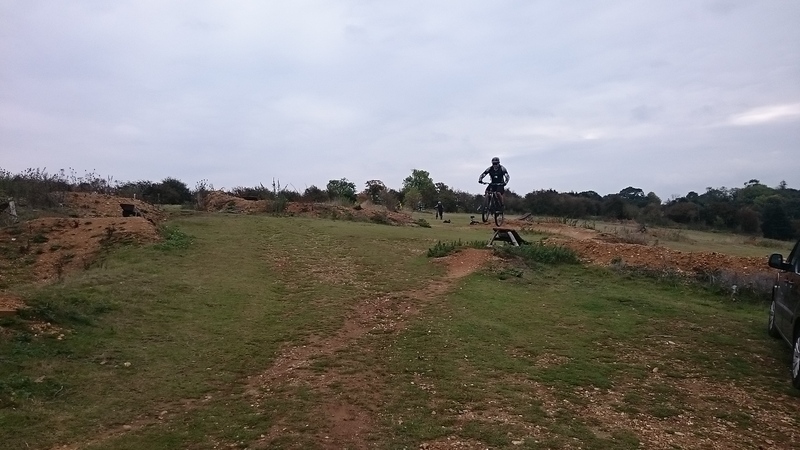 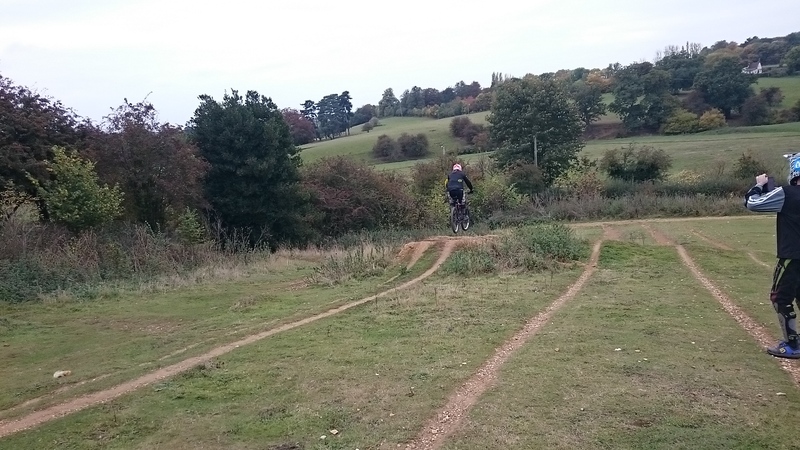 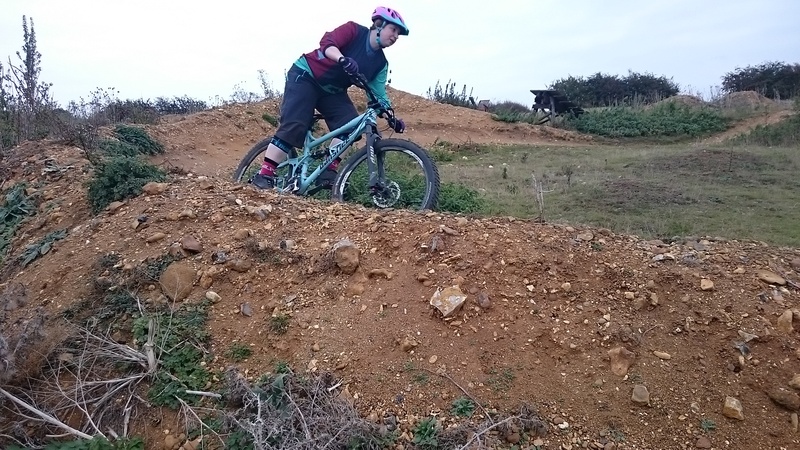 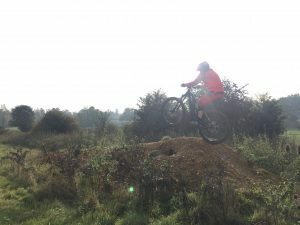 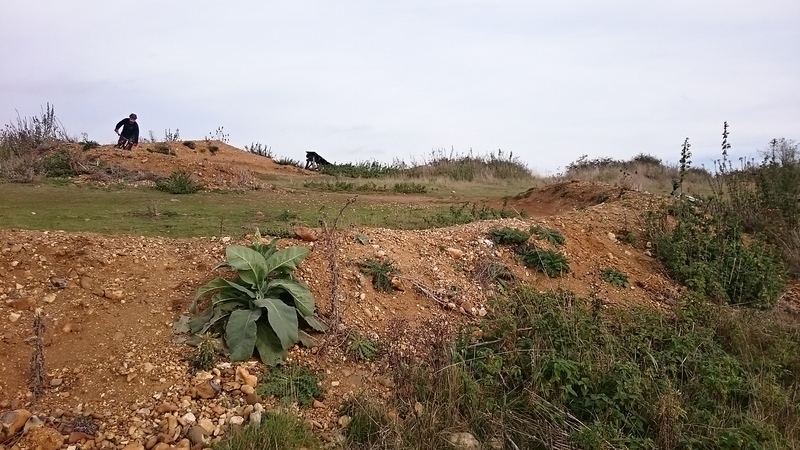 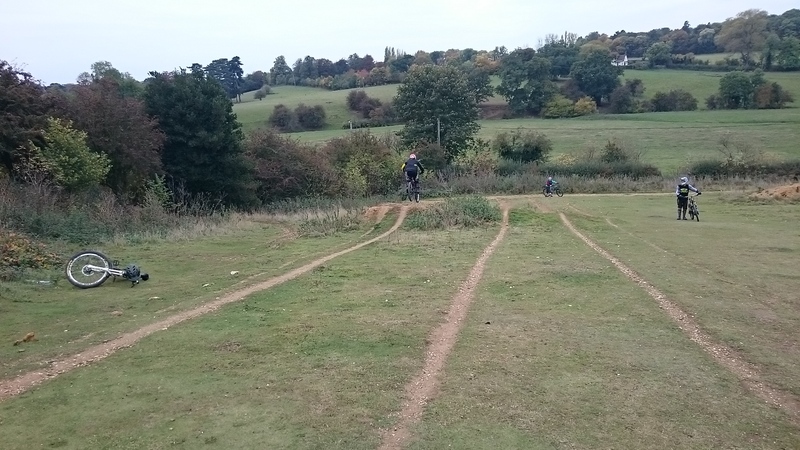 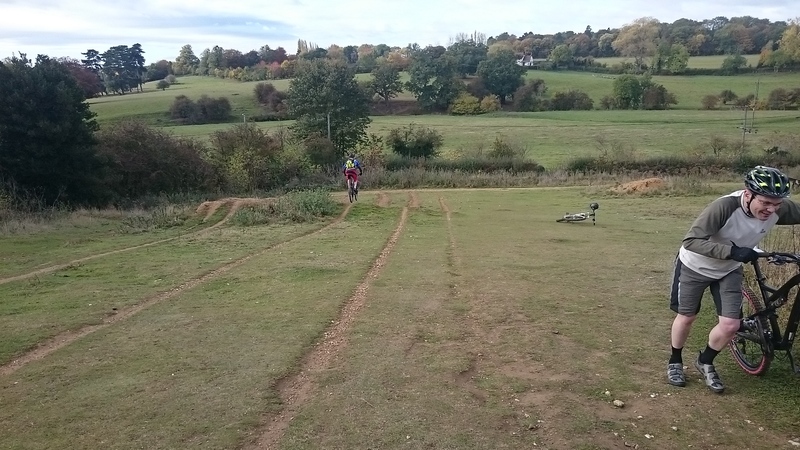 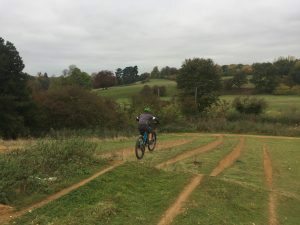 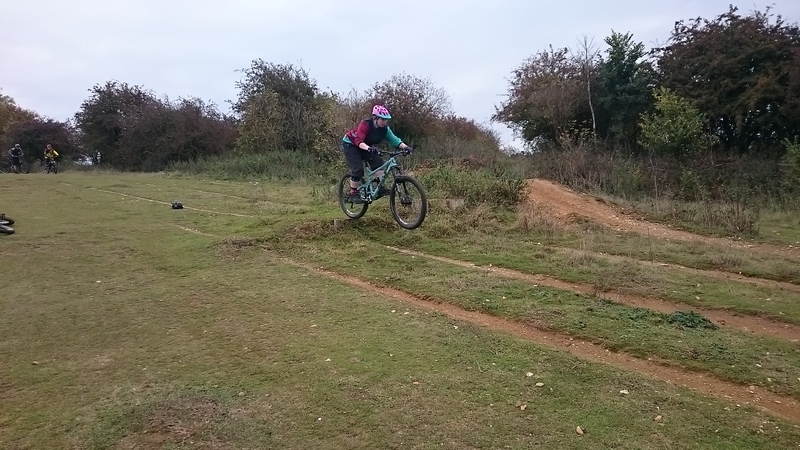 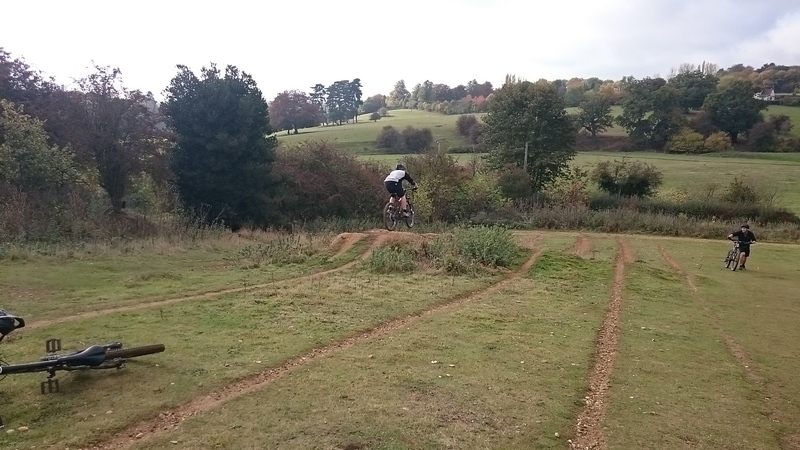 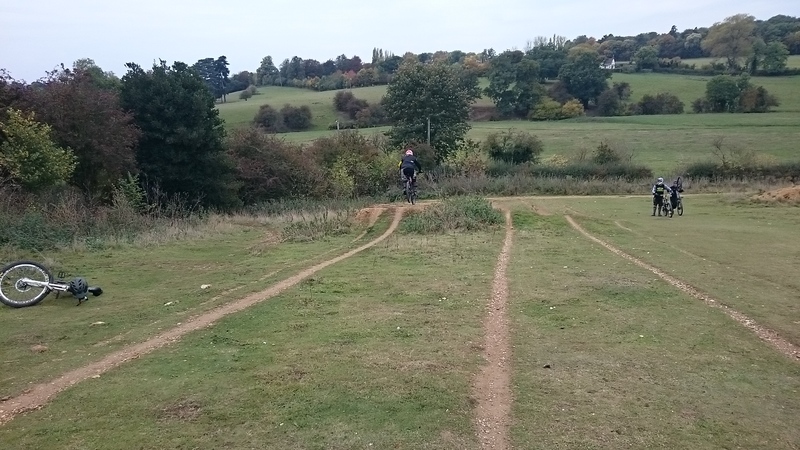 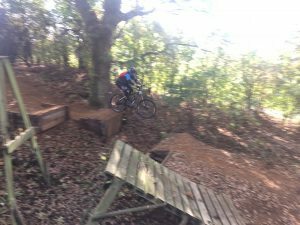 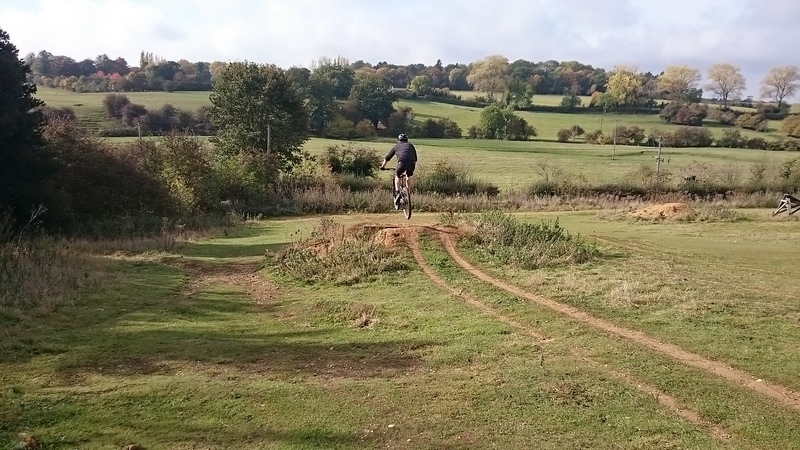 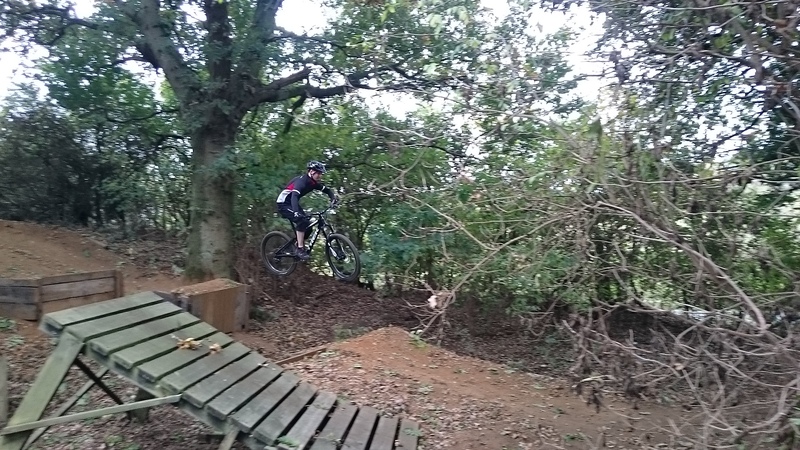 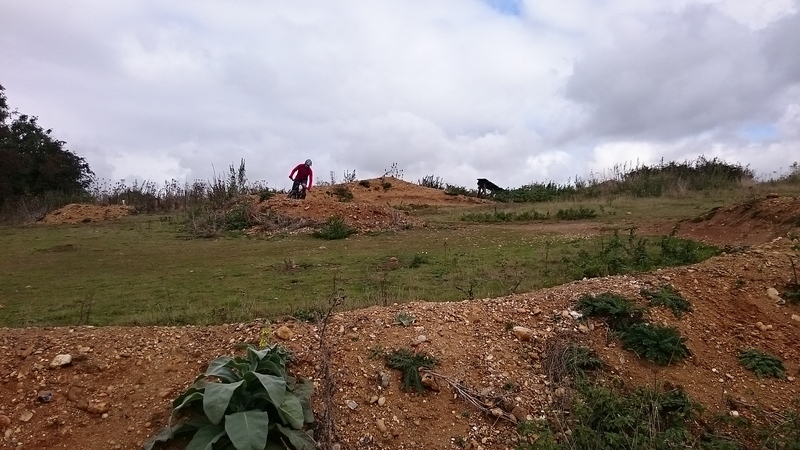 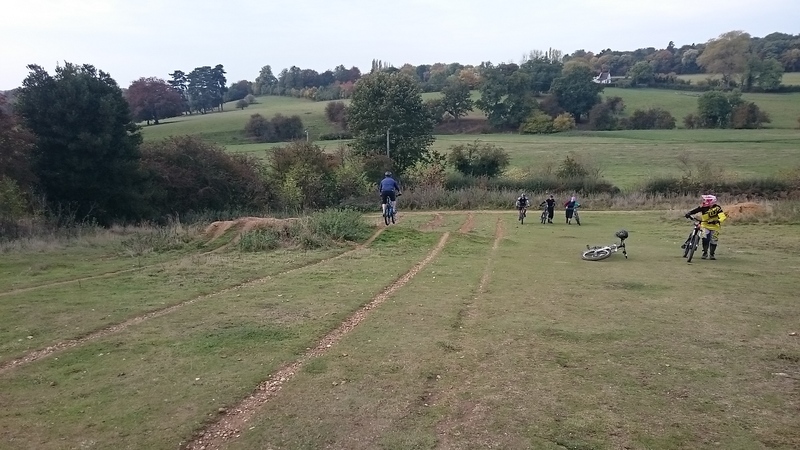 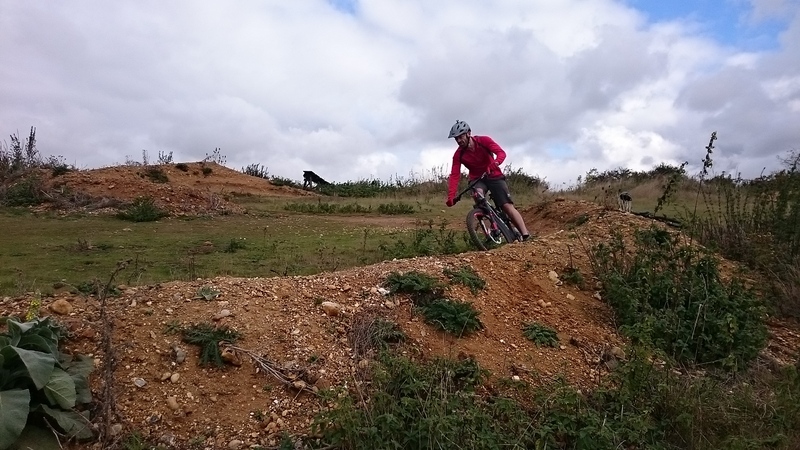 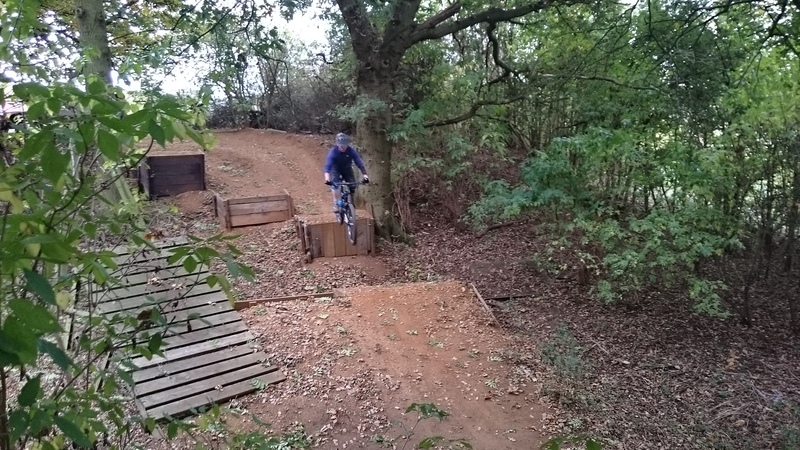 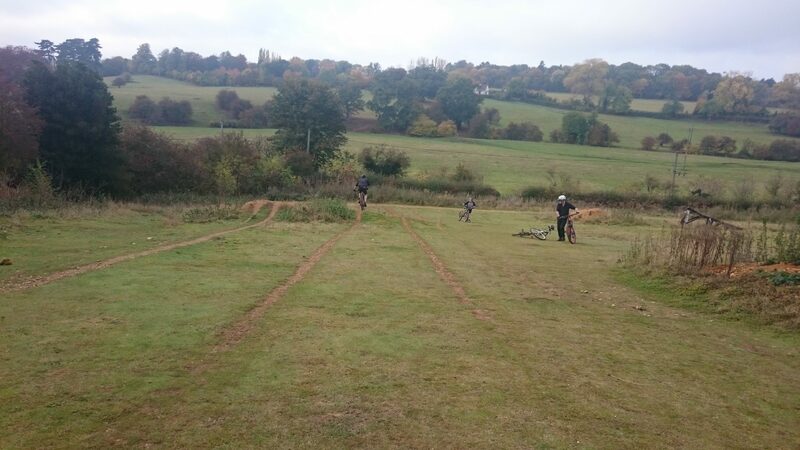 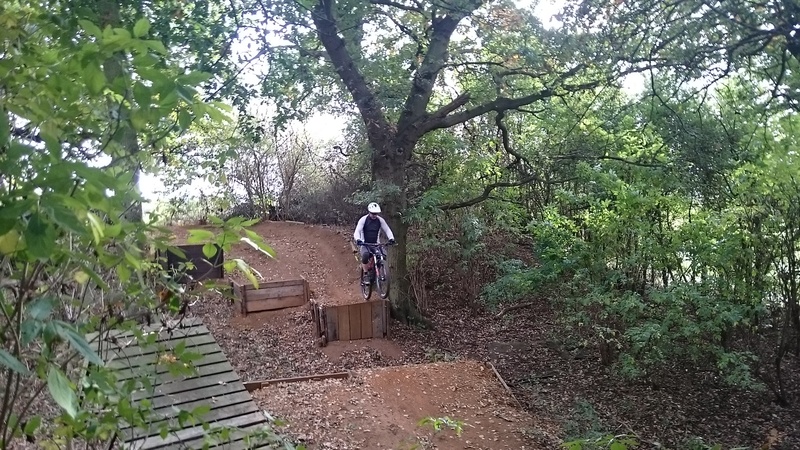 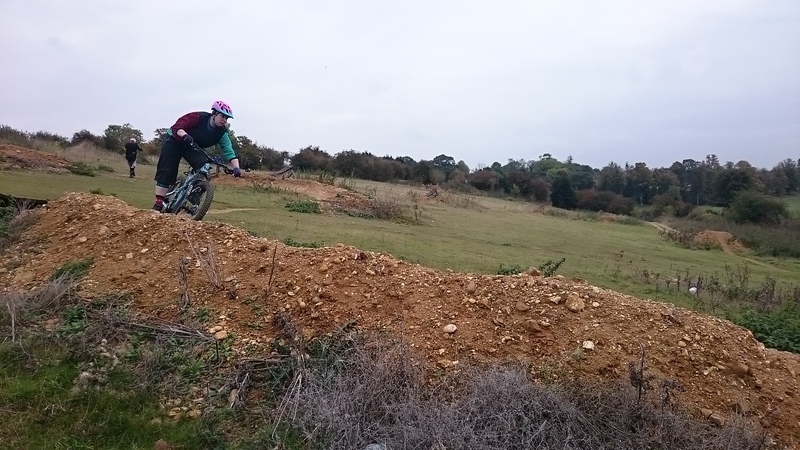 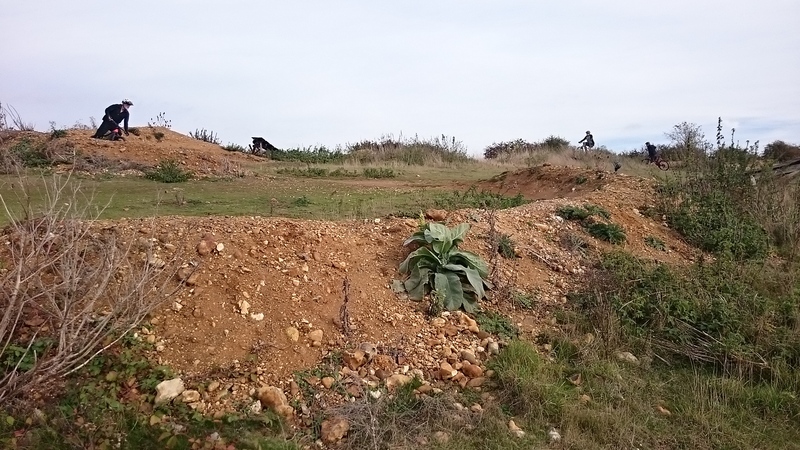 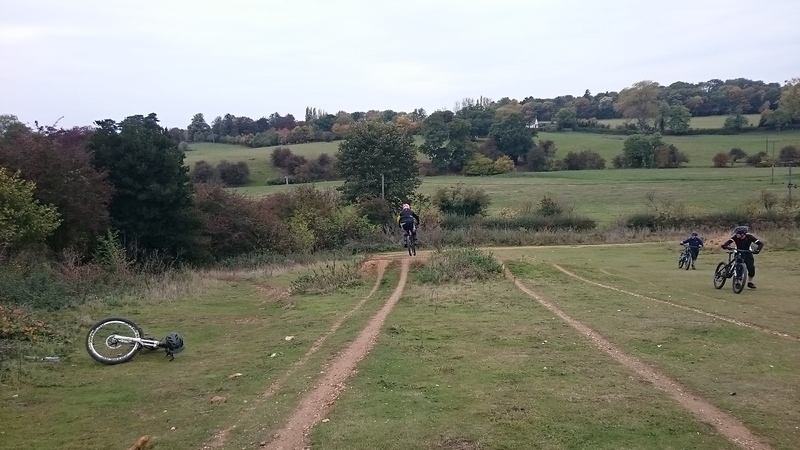 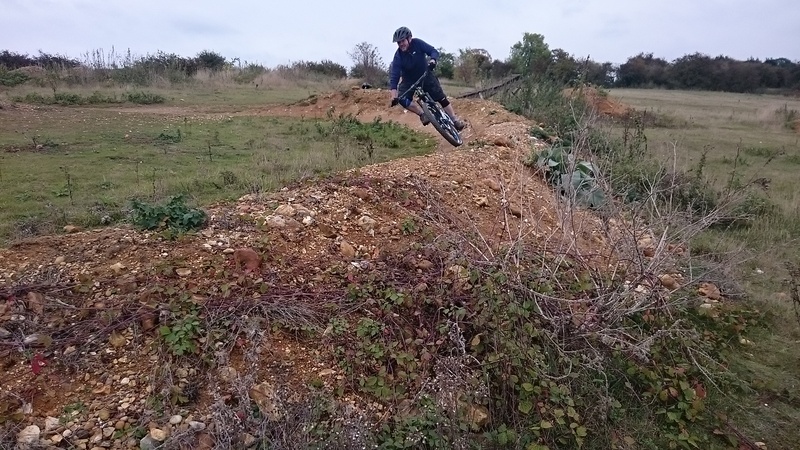 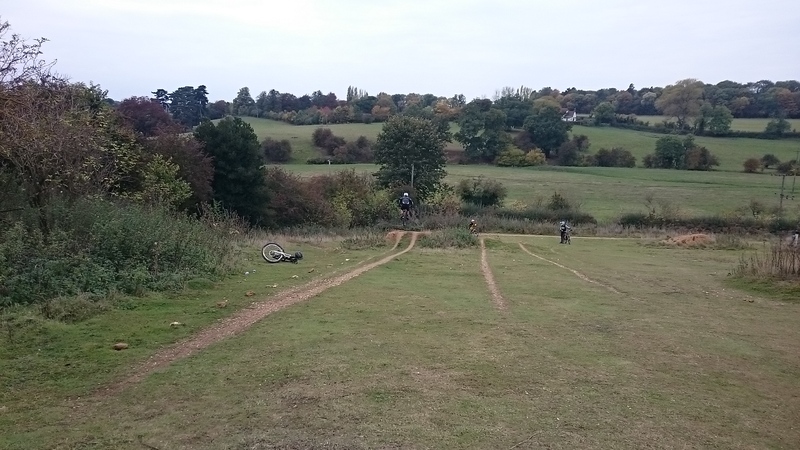 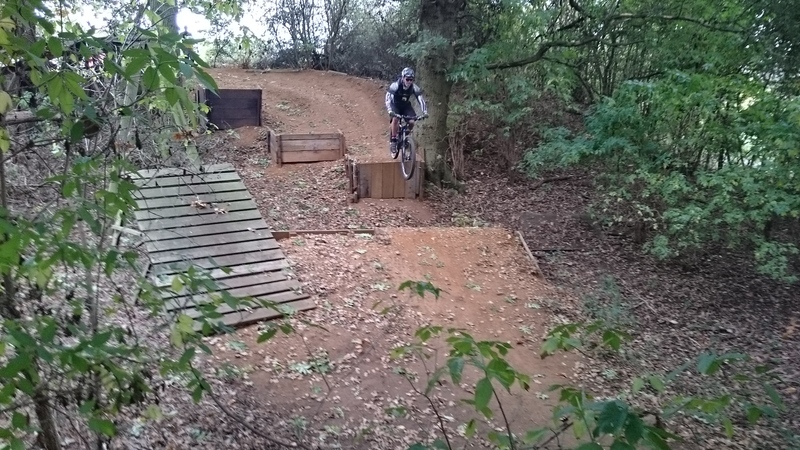 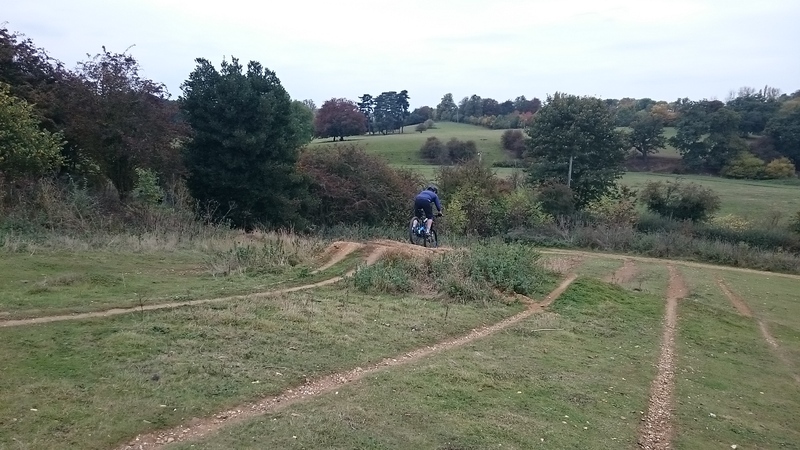 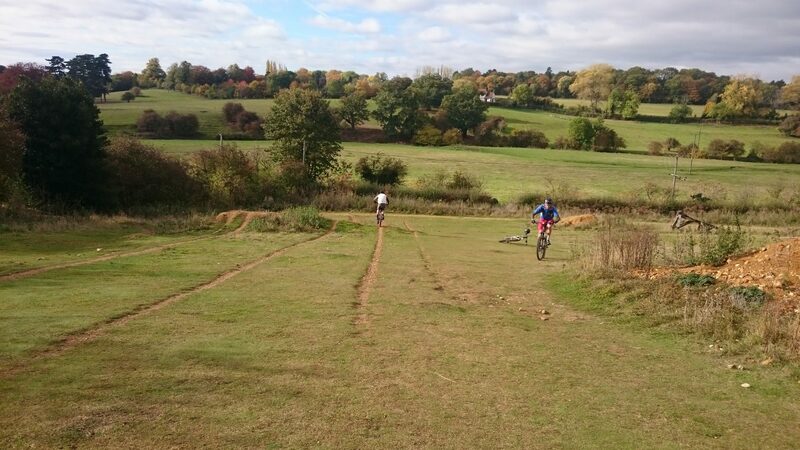 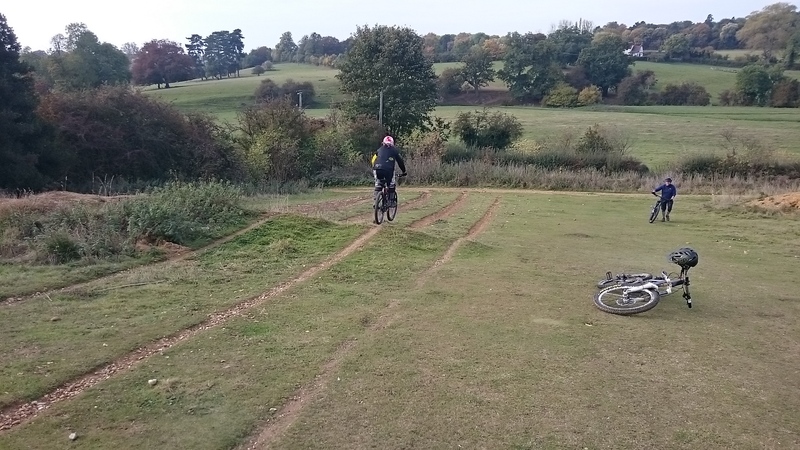 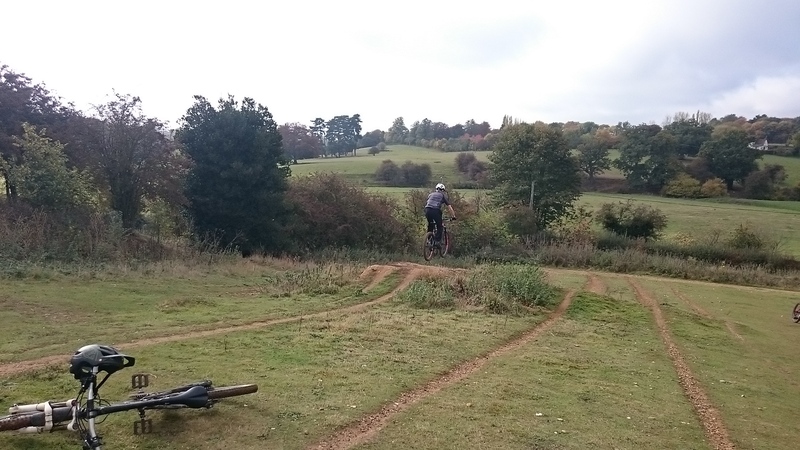 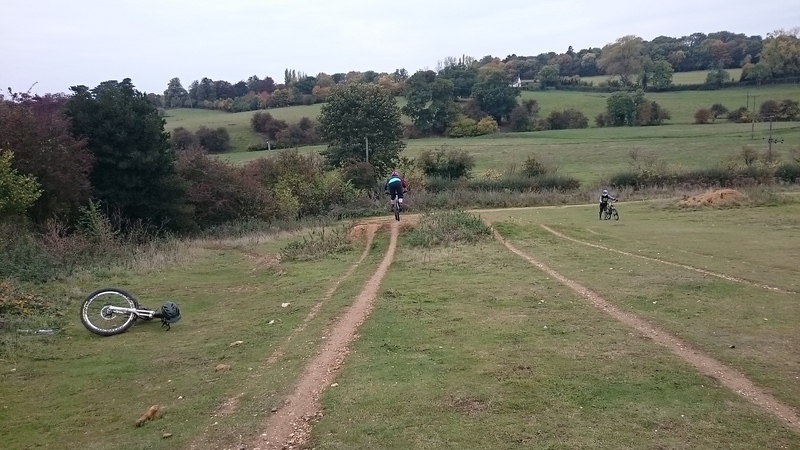 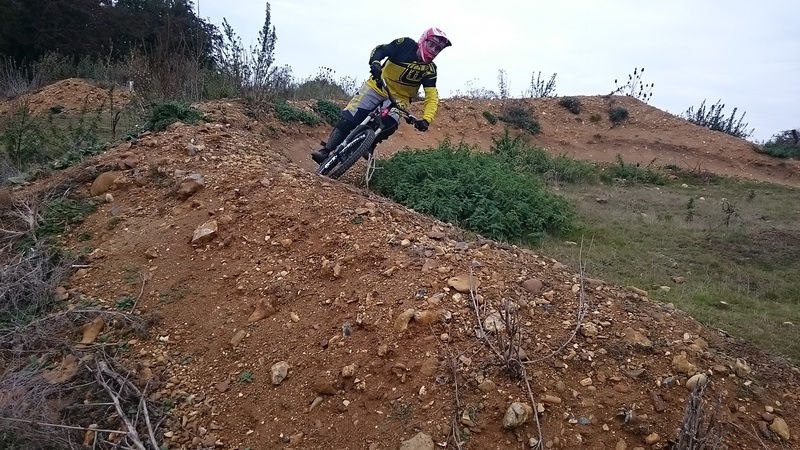 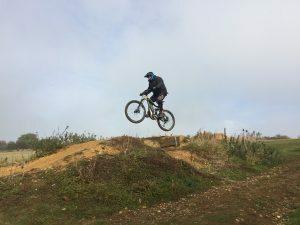 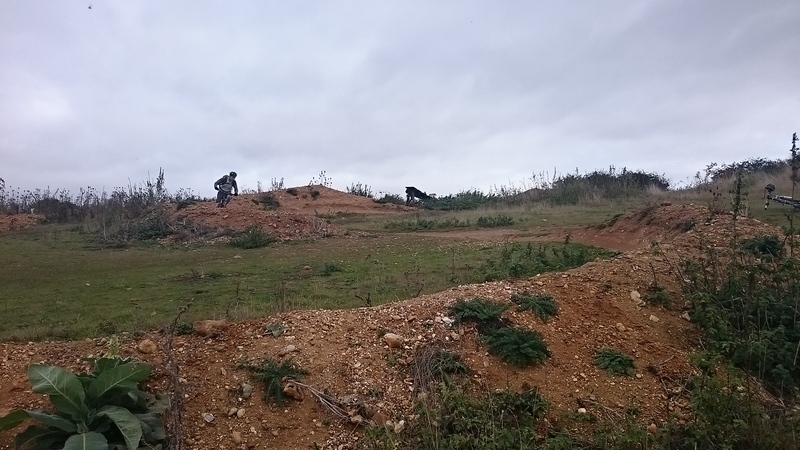 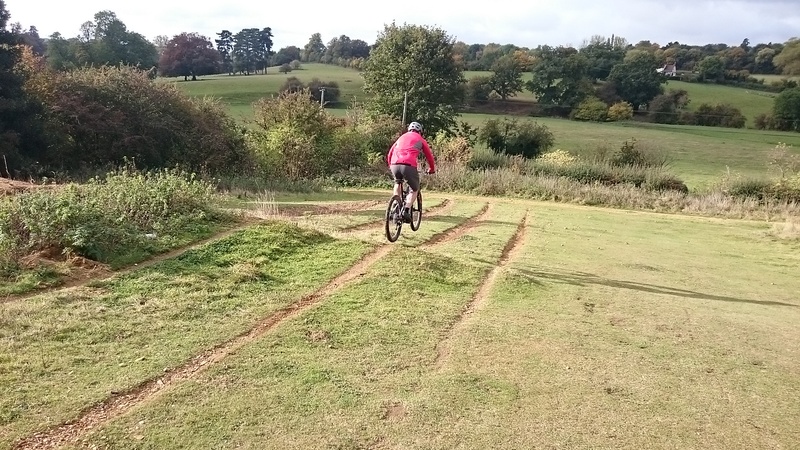 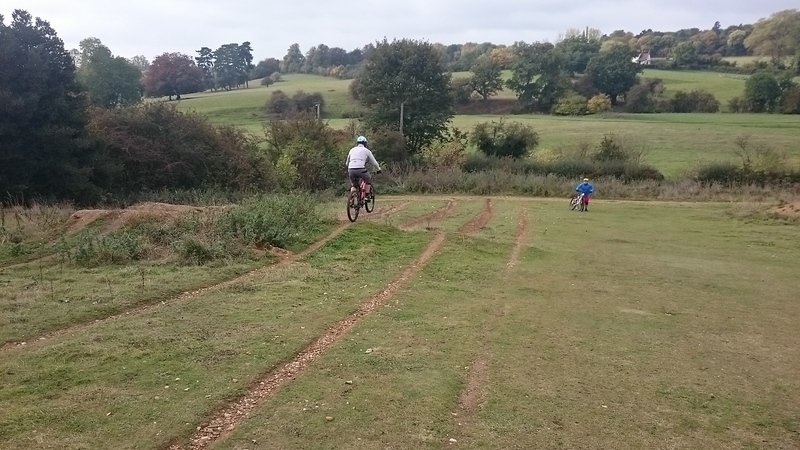 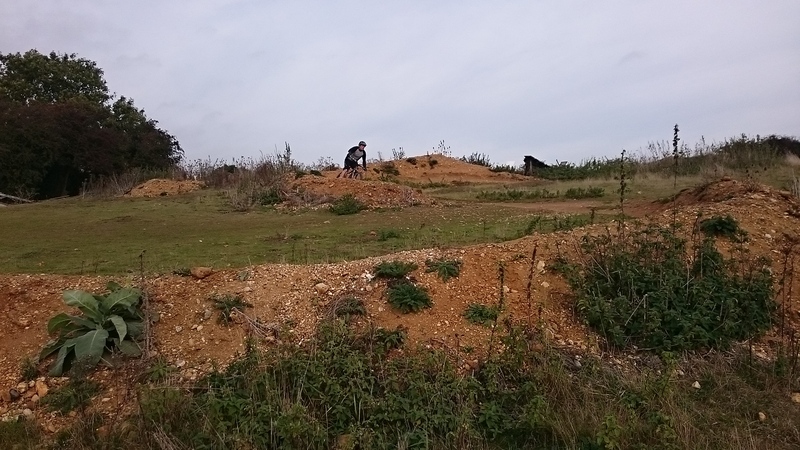 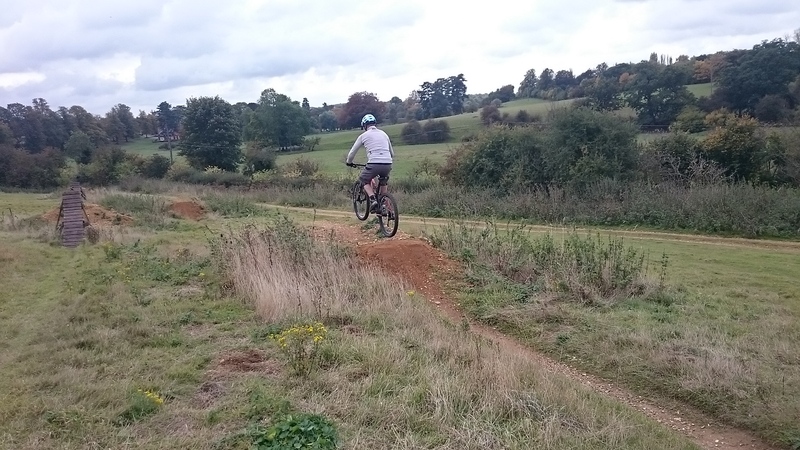 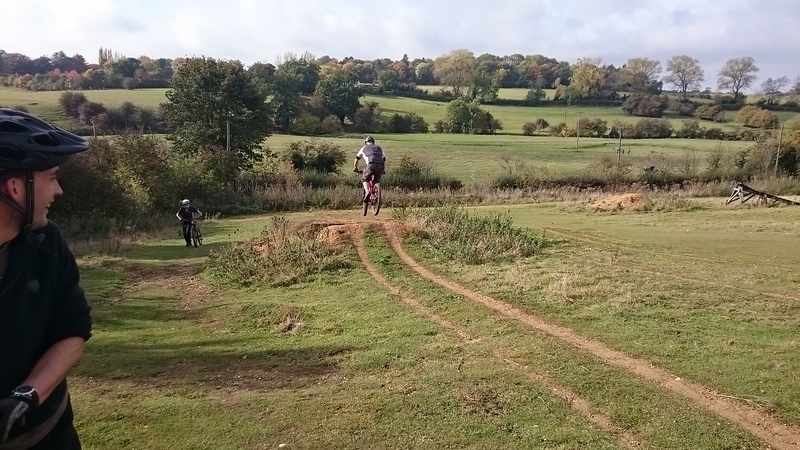 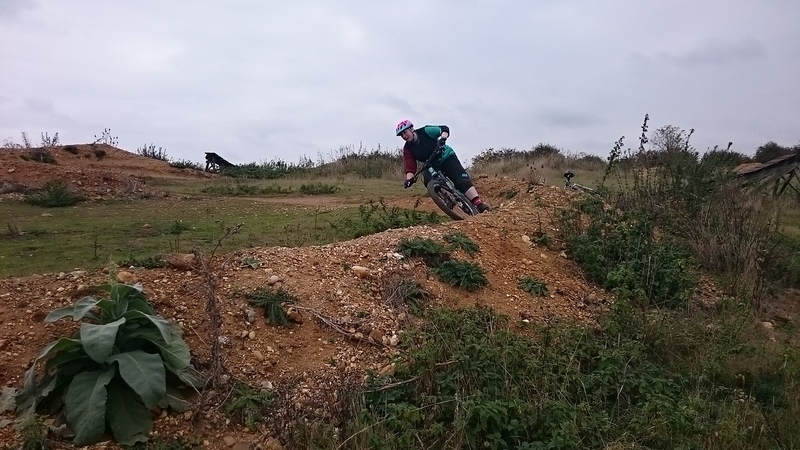 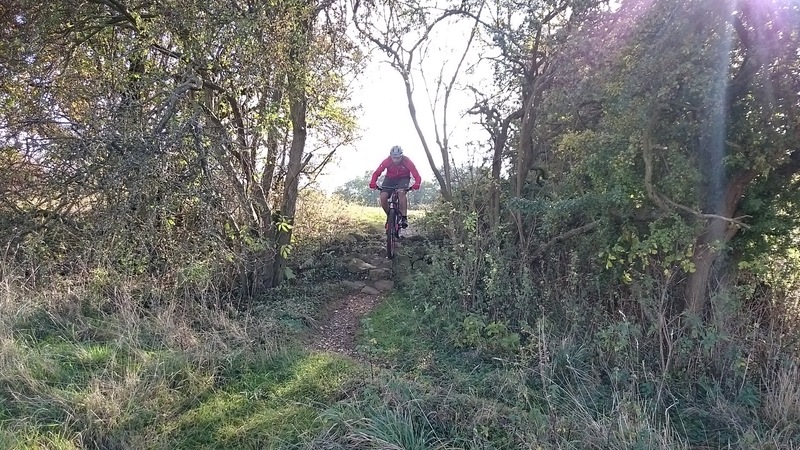 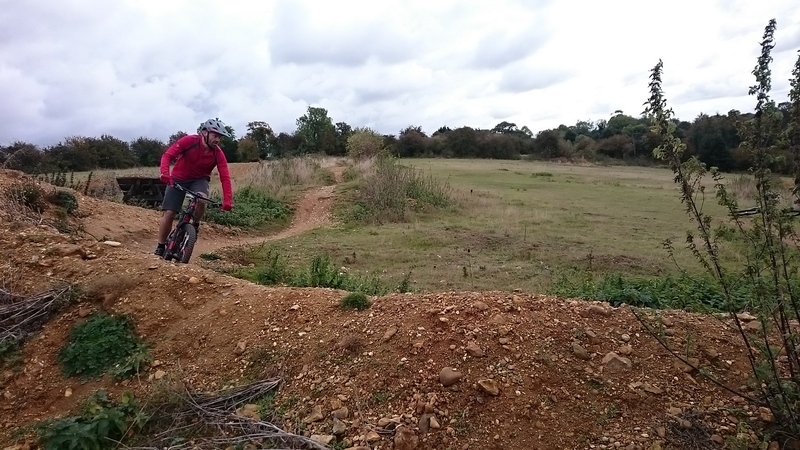 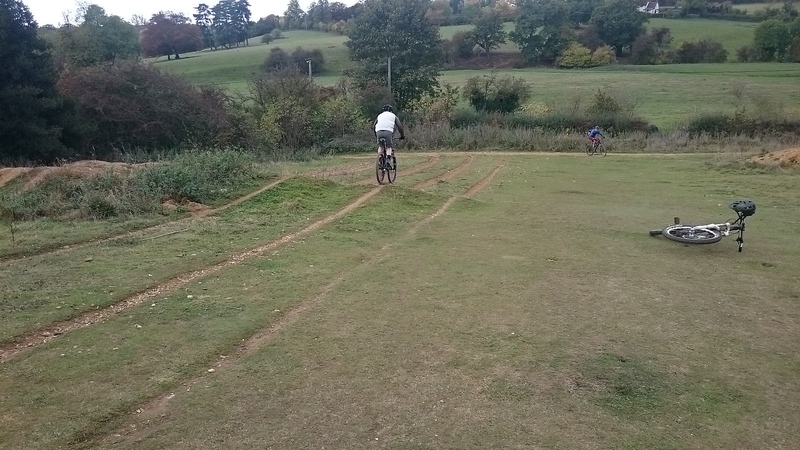 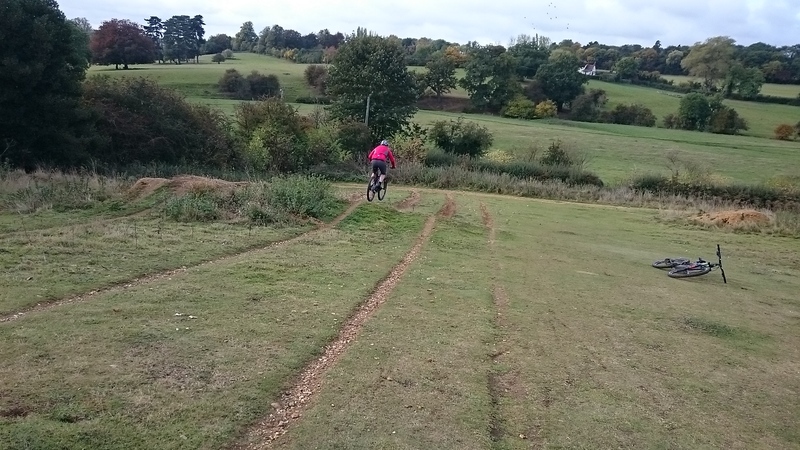 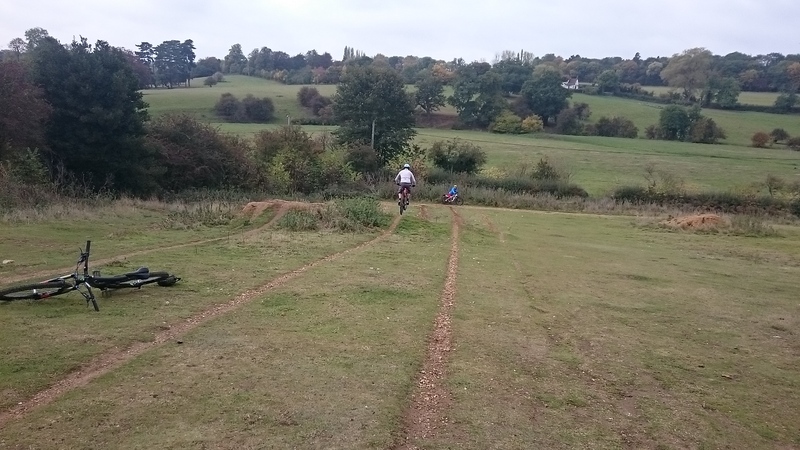 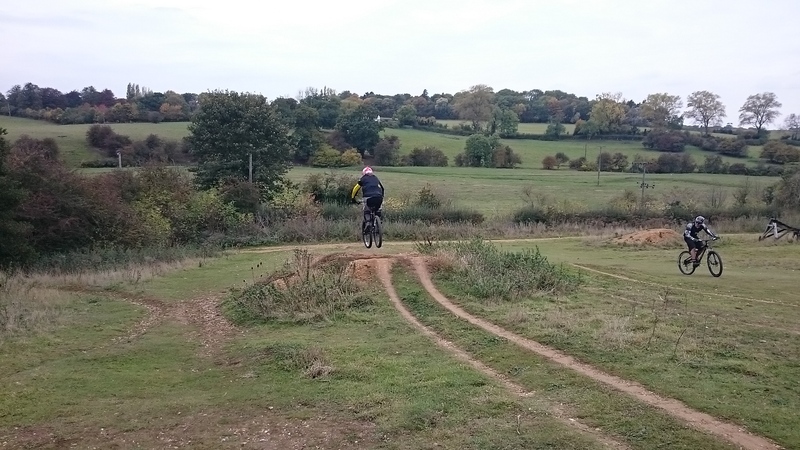 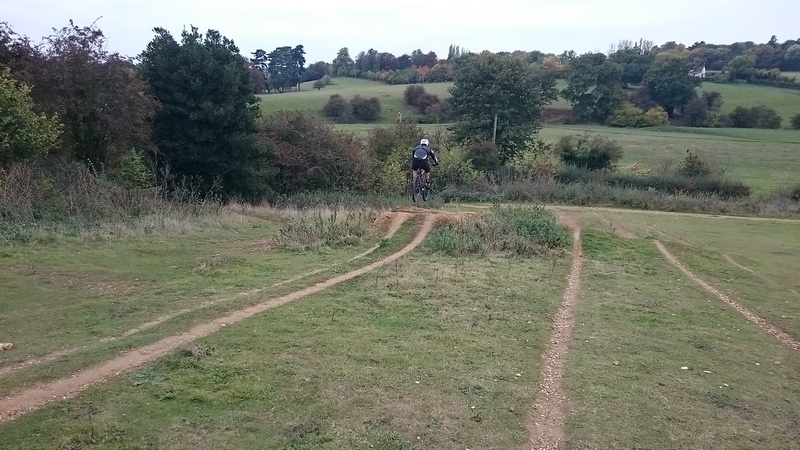 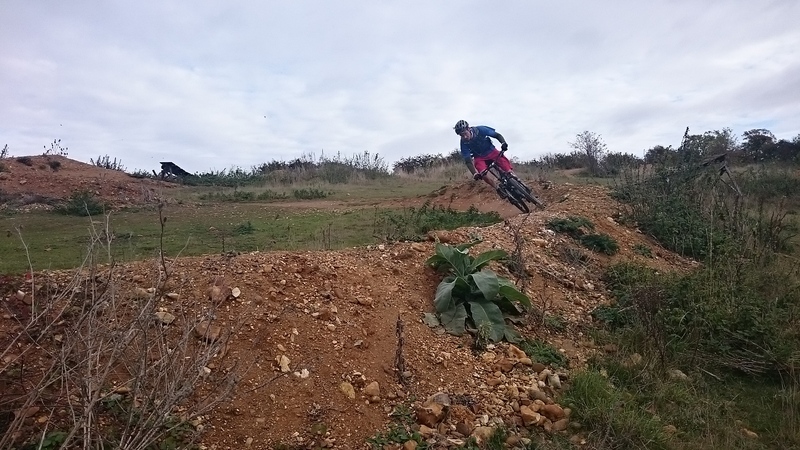 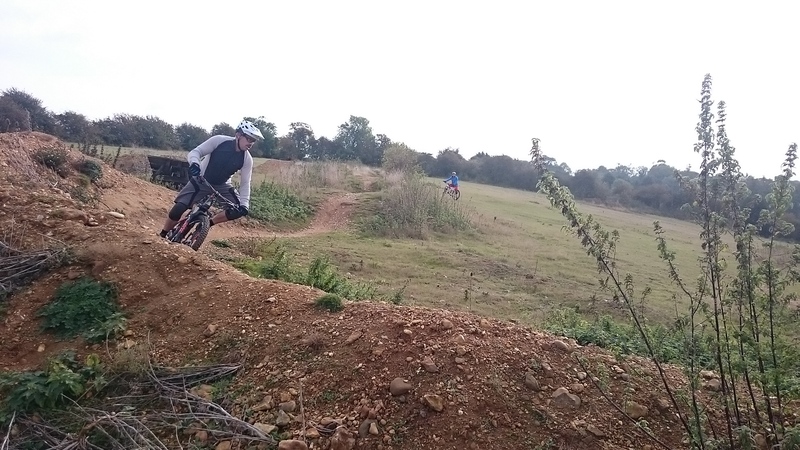 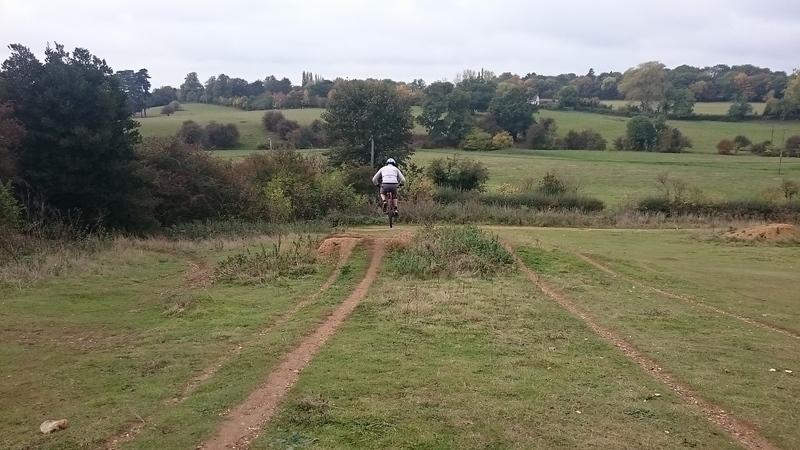 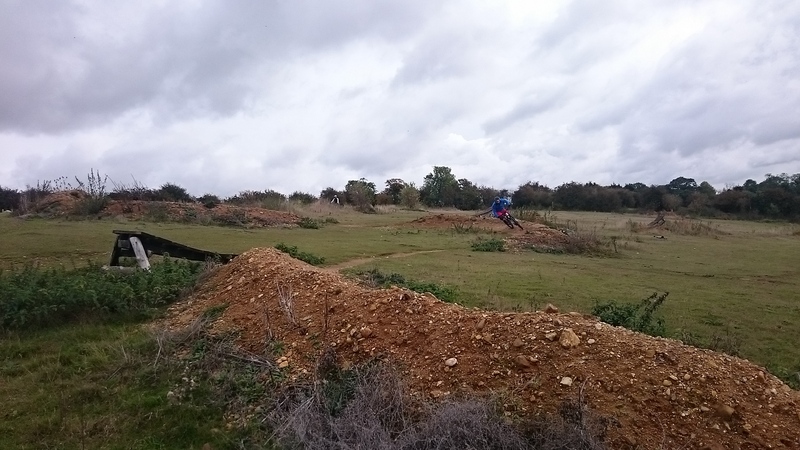 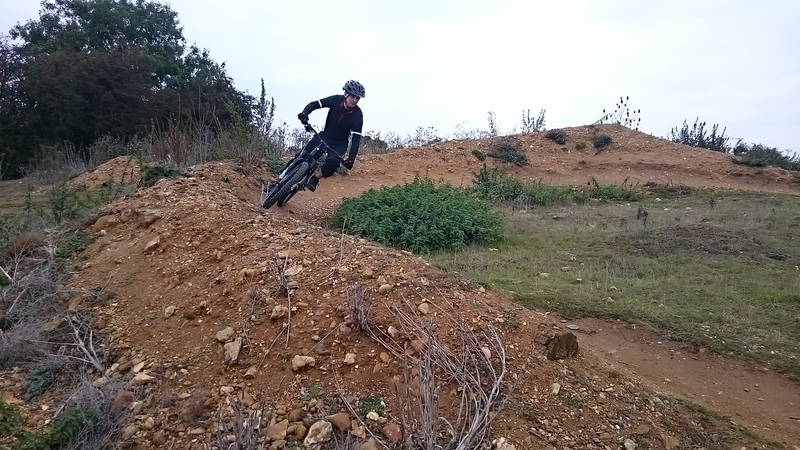 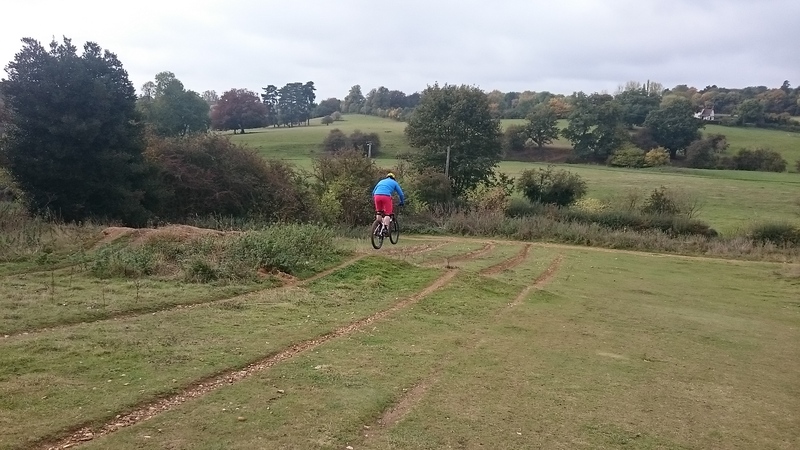 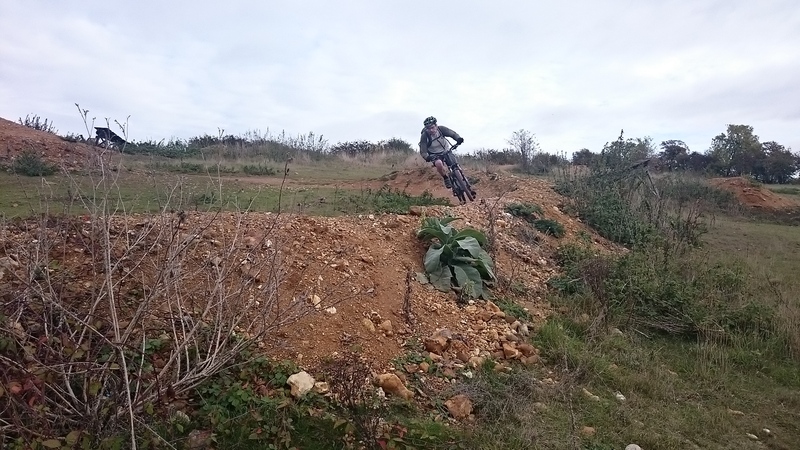 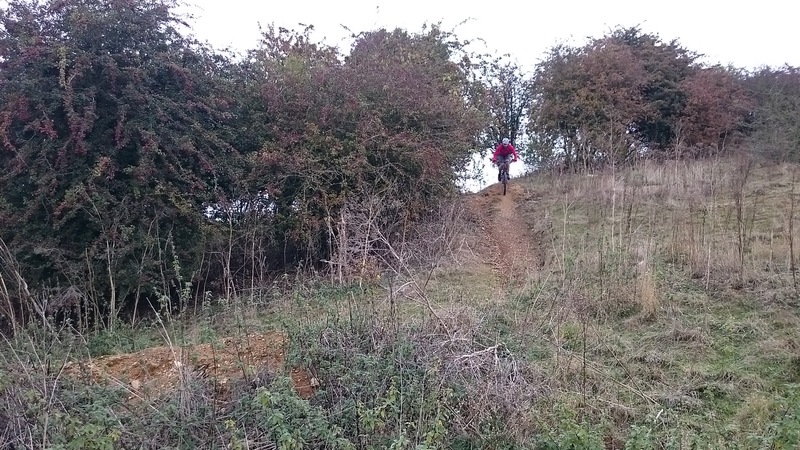 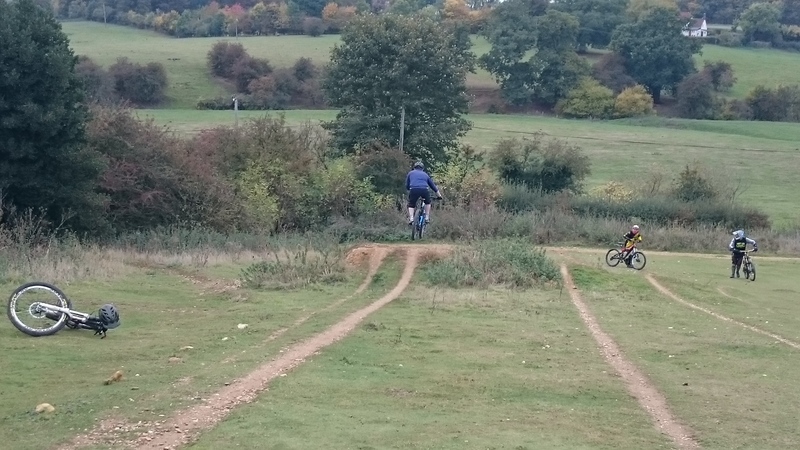 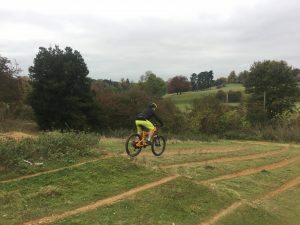 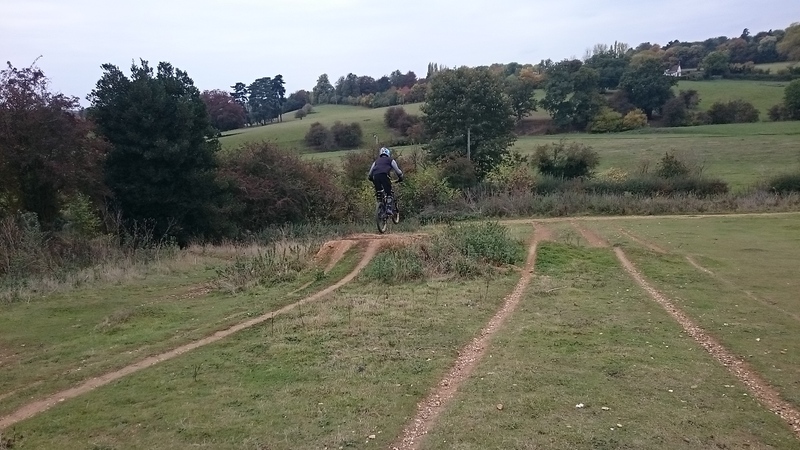 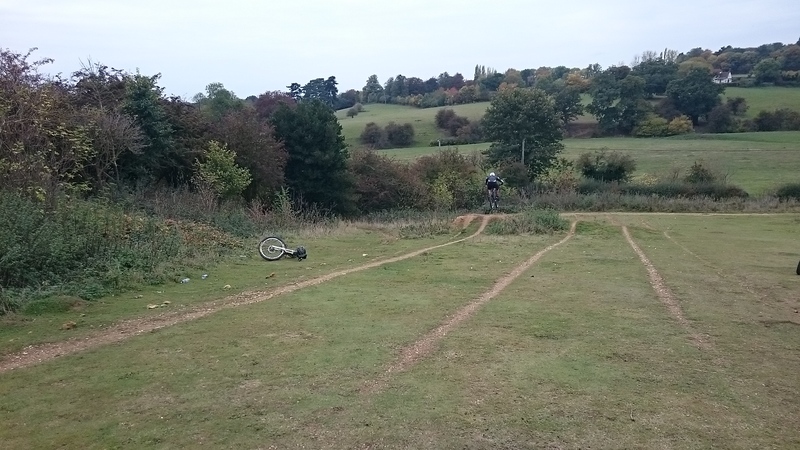 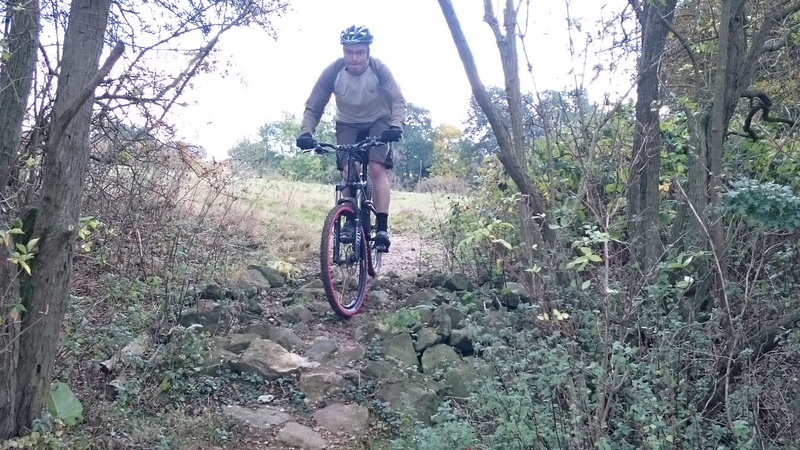 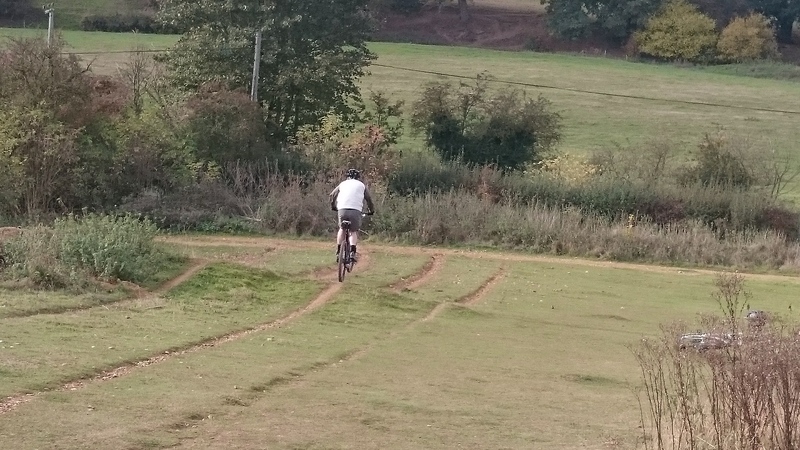 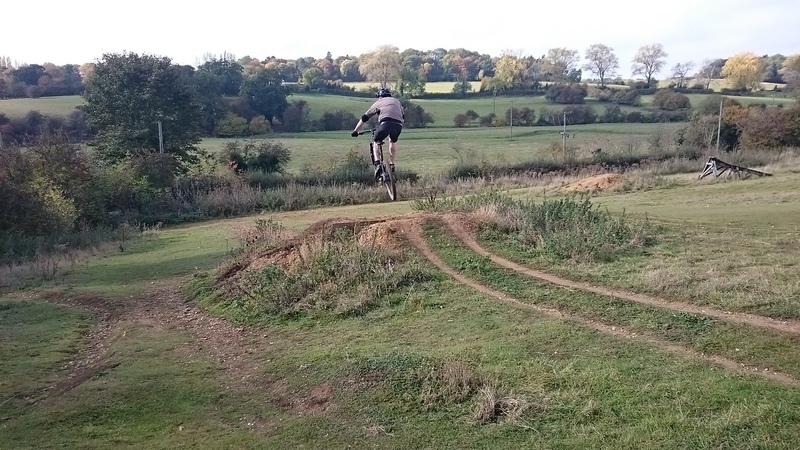 By the end of the session Stu was riding drops to 3ft linking turns and multiple sections of singletrack trail together far smother than ever previous to today. 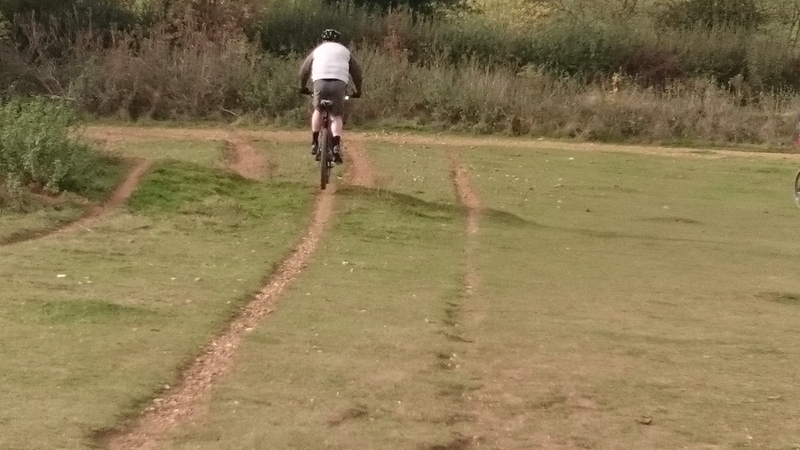 Also, he was riding near vertical drop offs and showing good use of his mental skills.